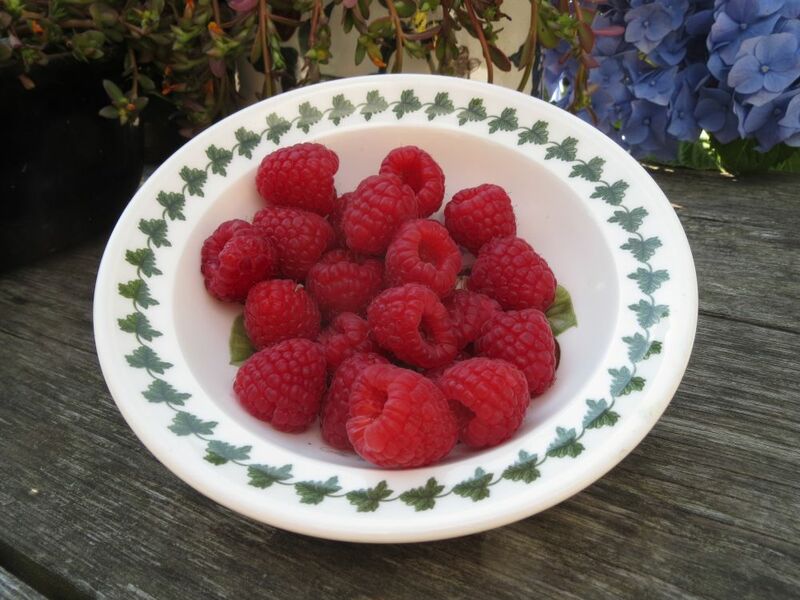 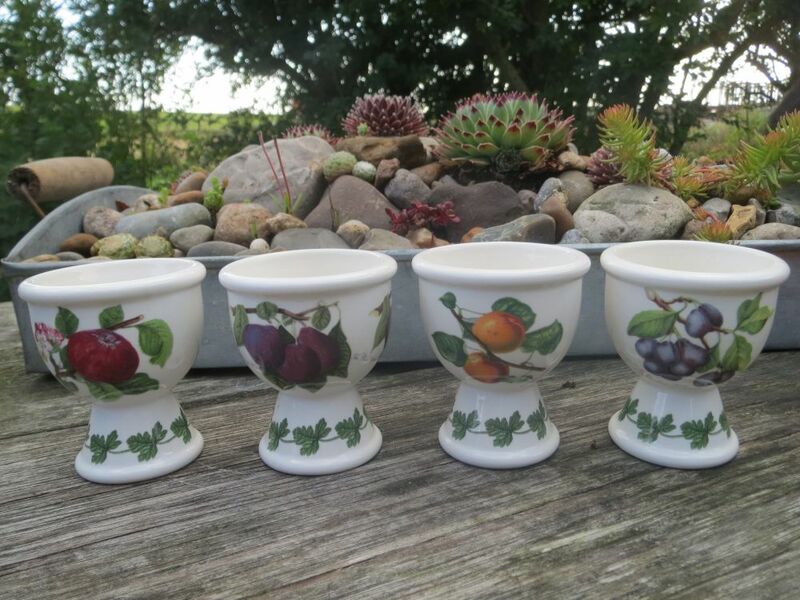 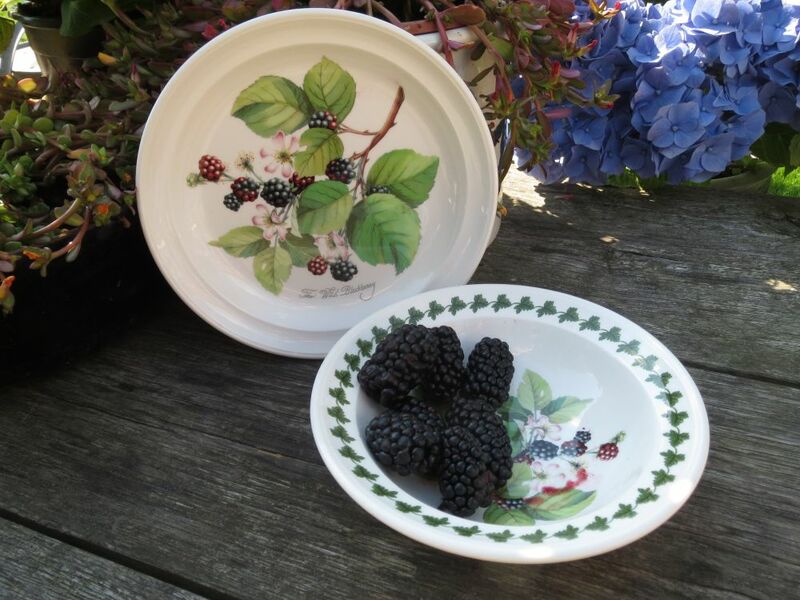 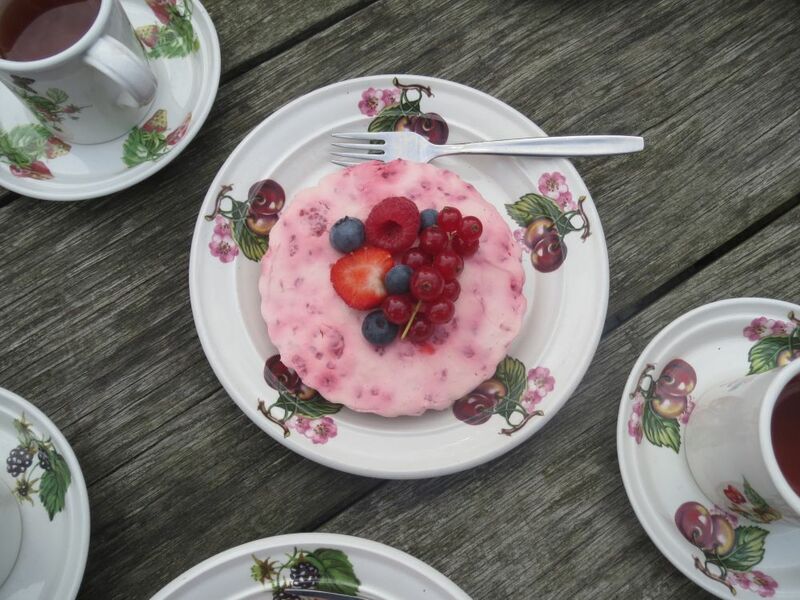 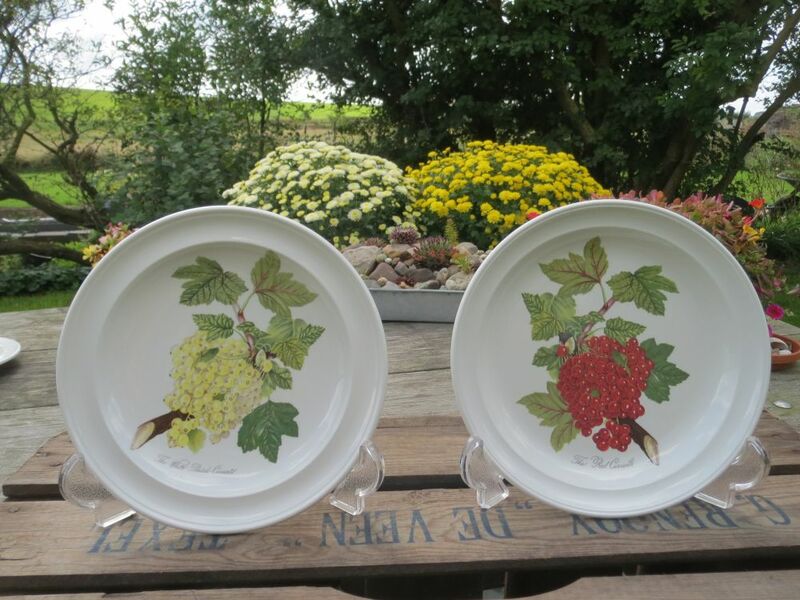 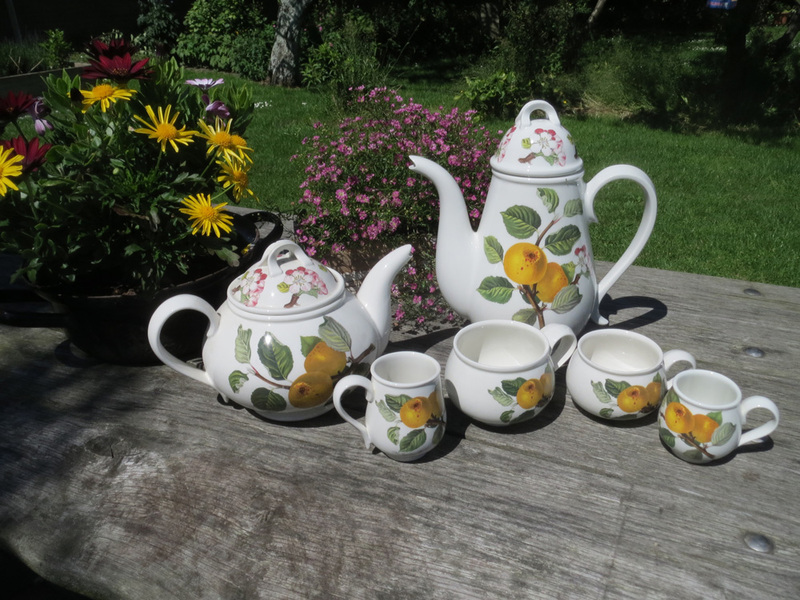 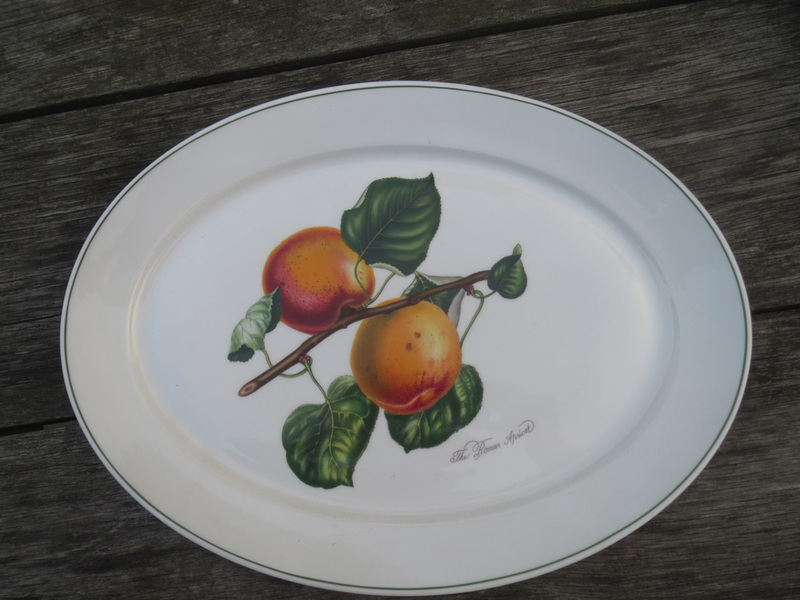 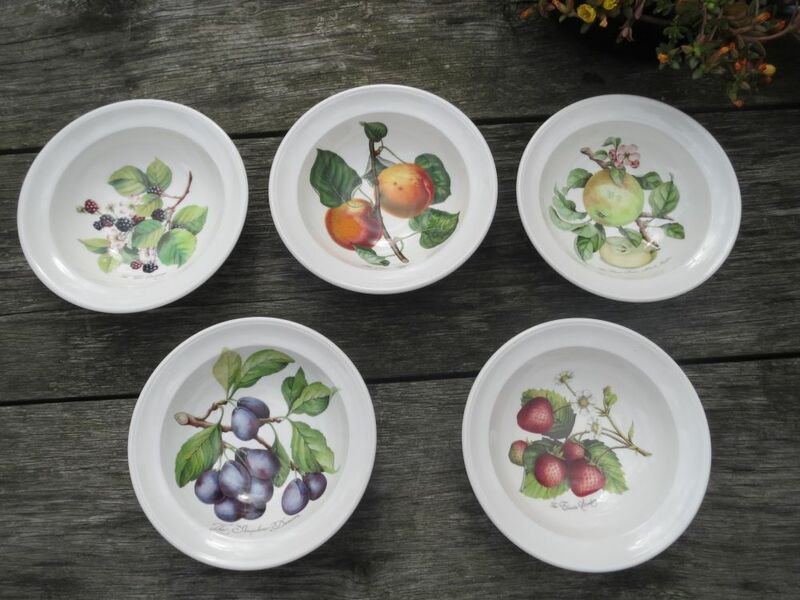 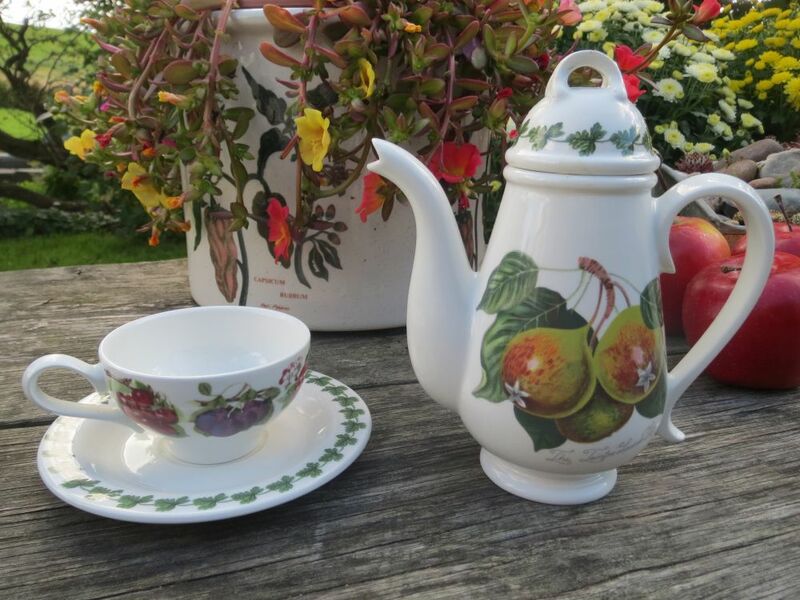 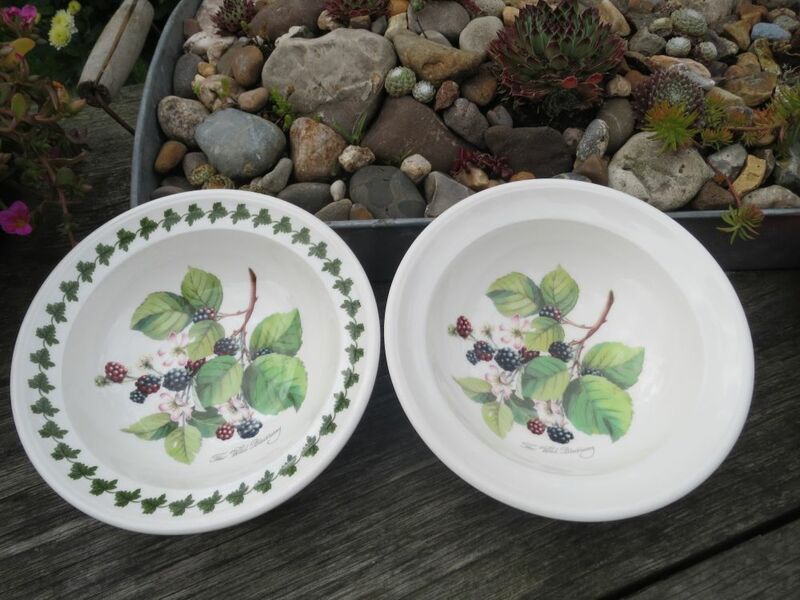 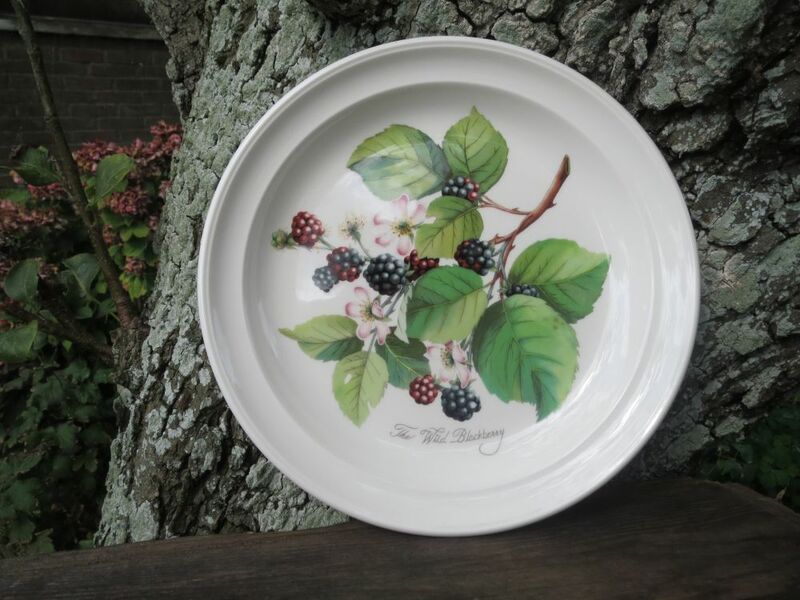 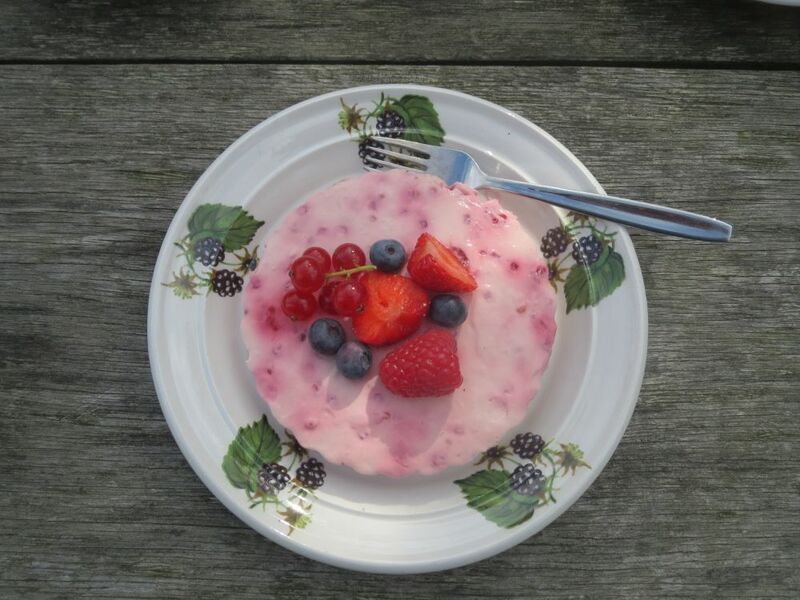 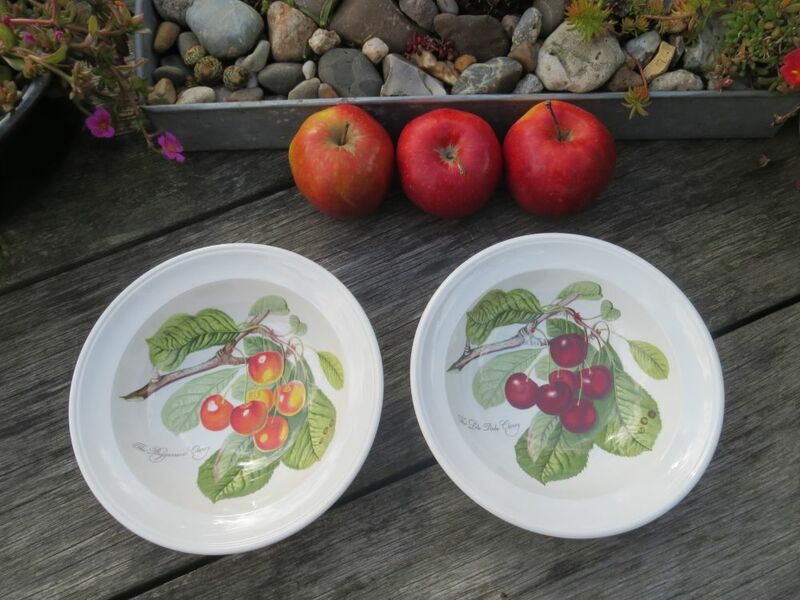 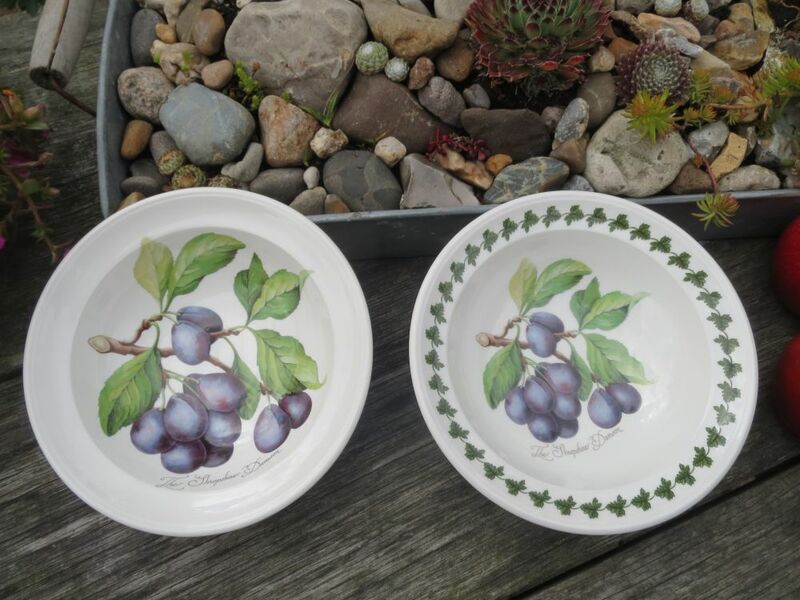 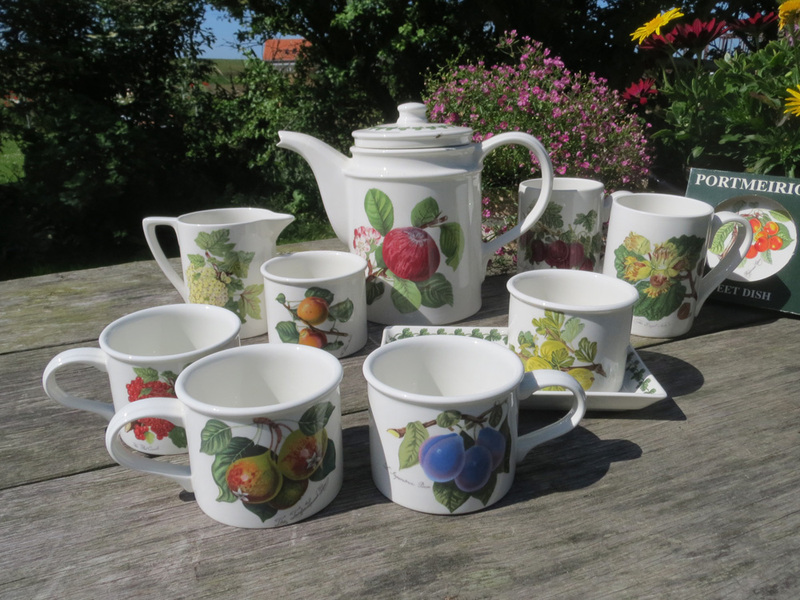 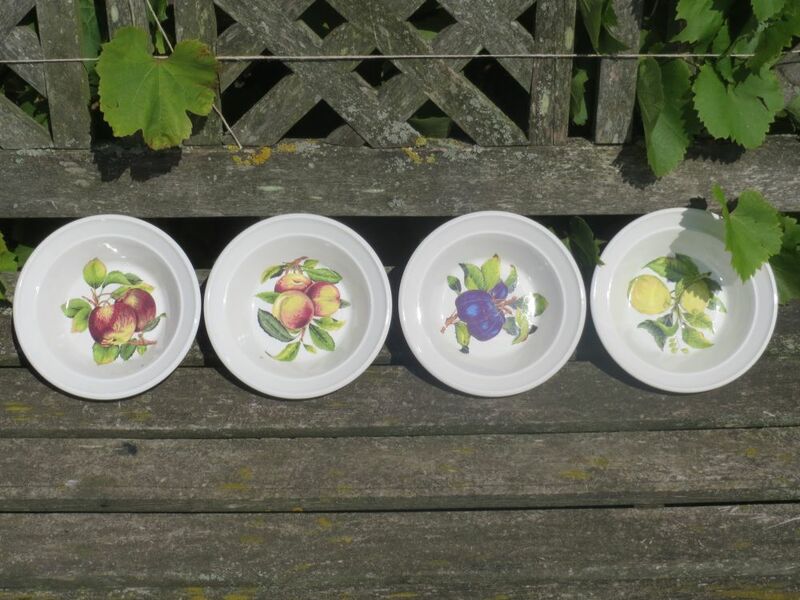 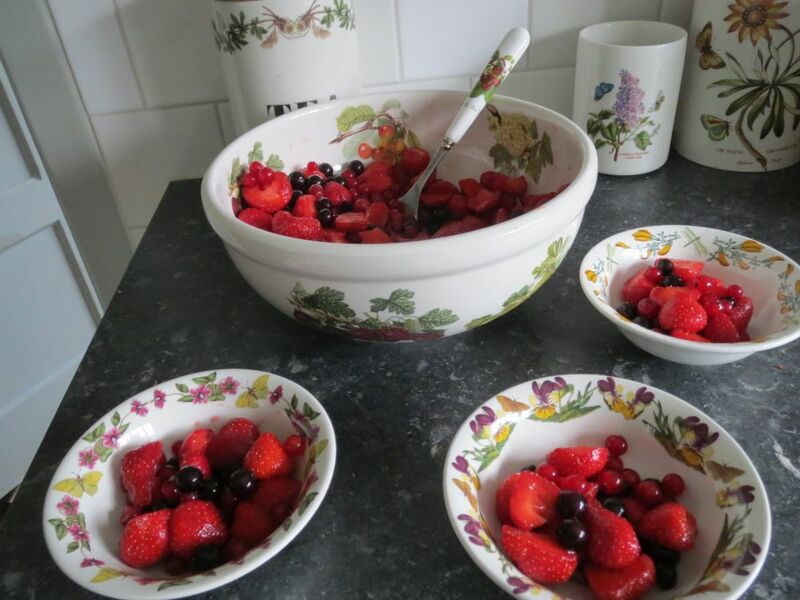 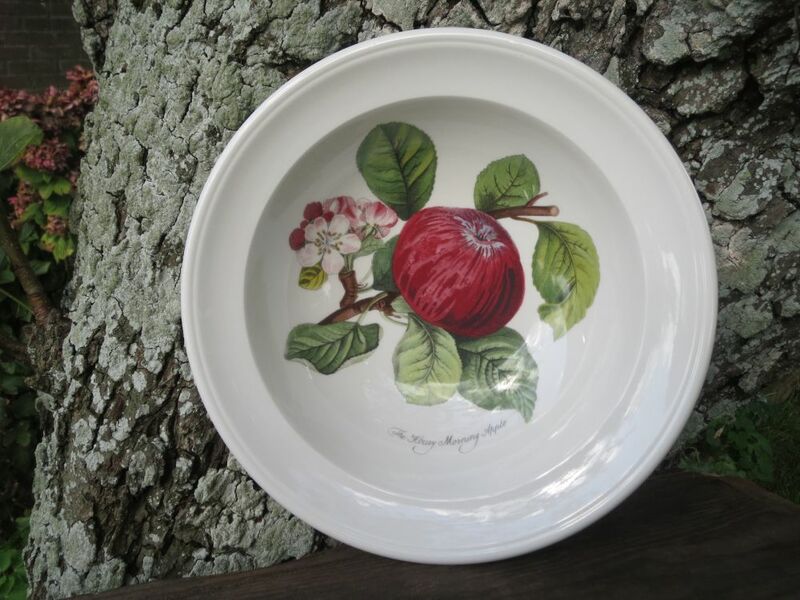 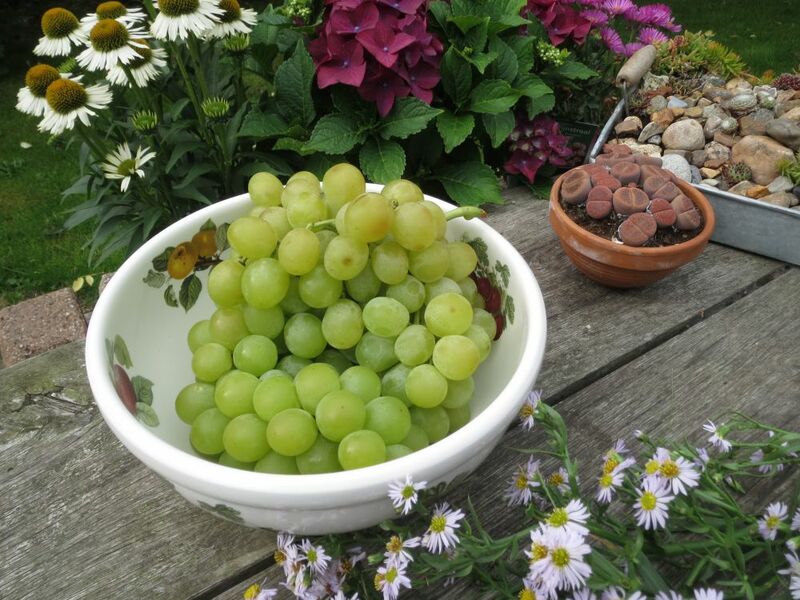 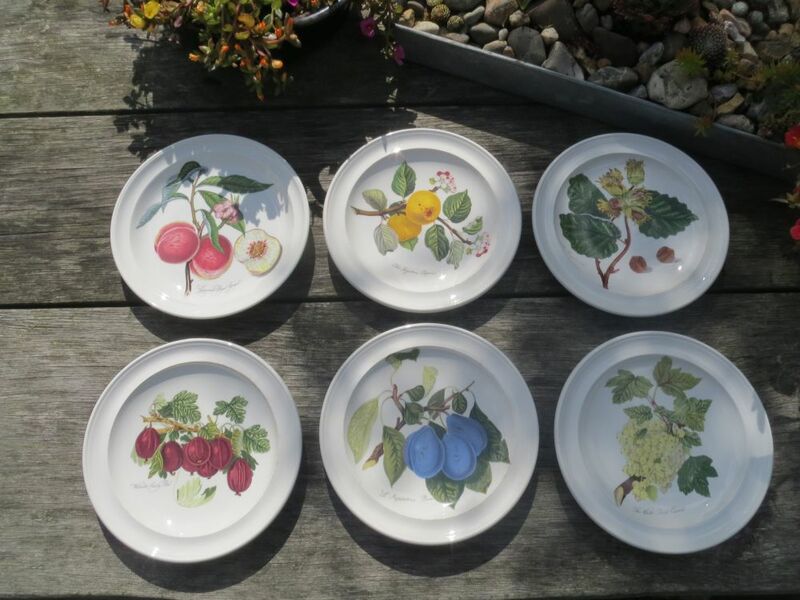 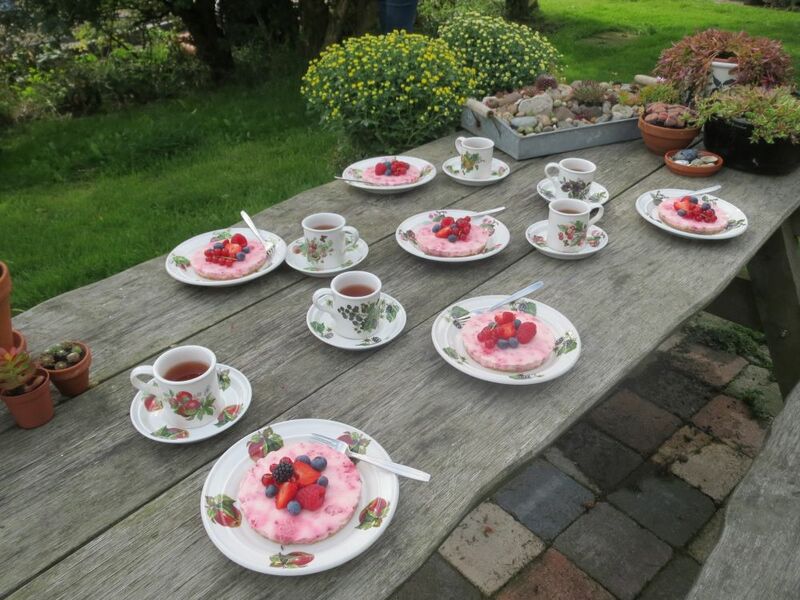 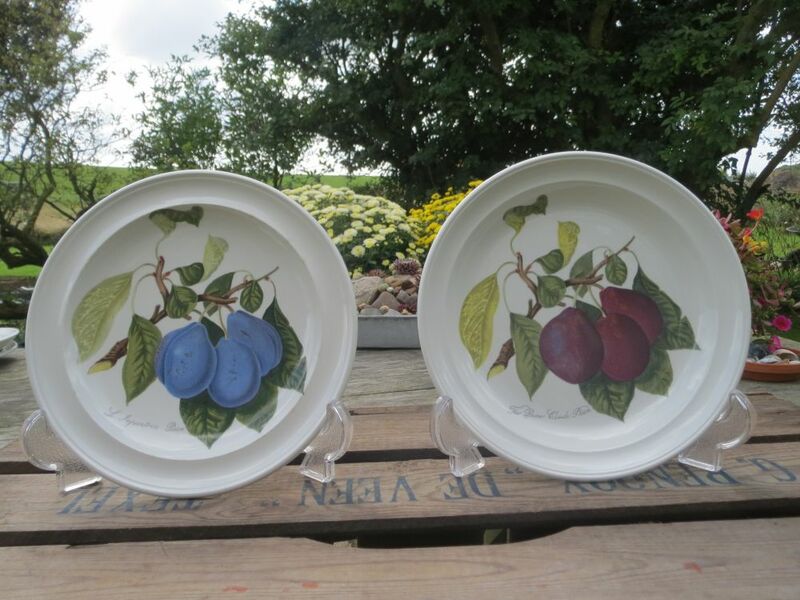 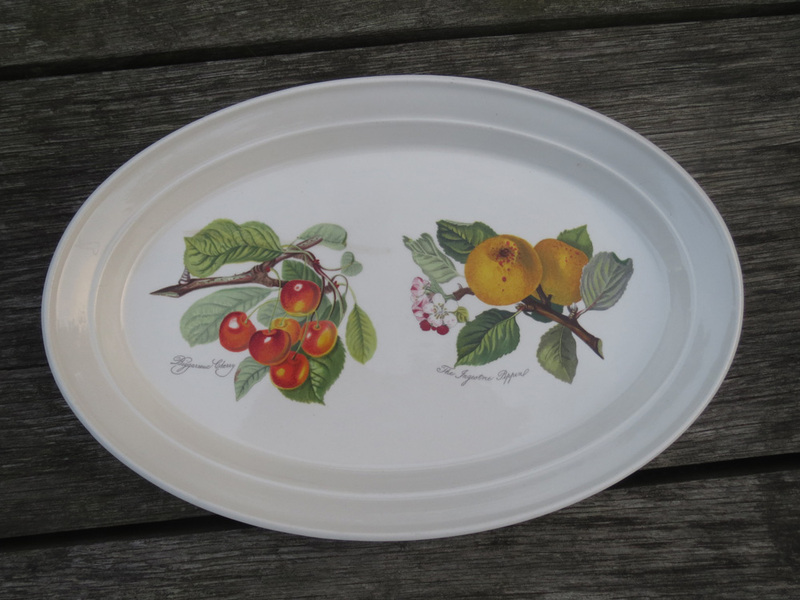 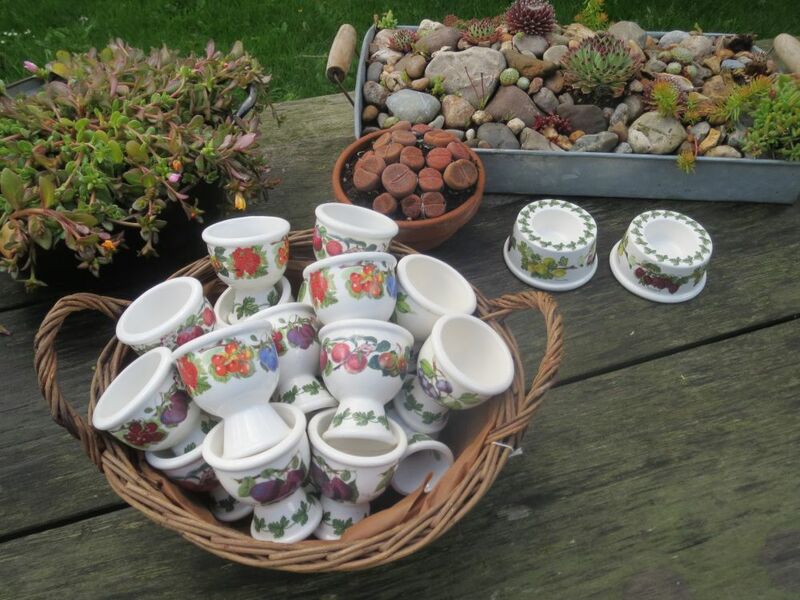 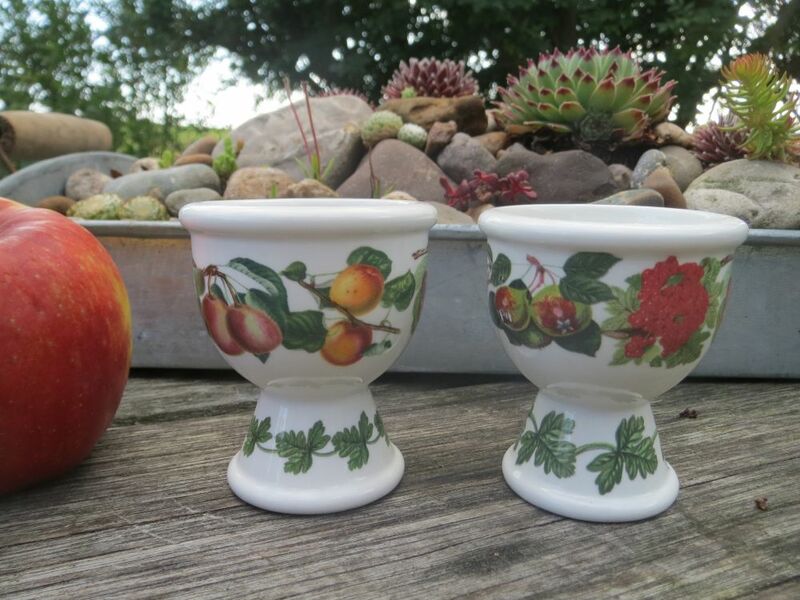 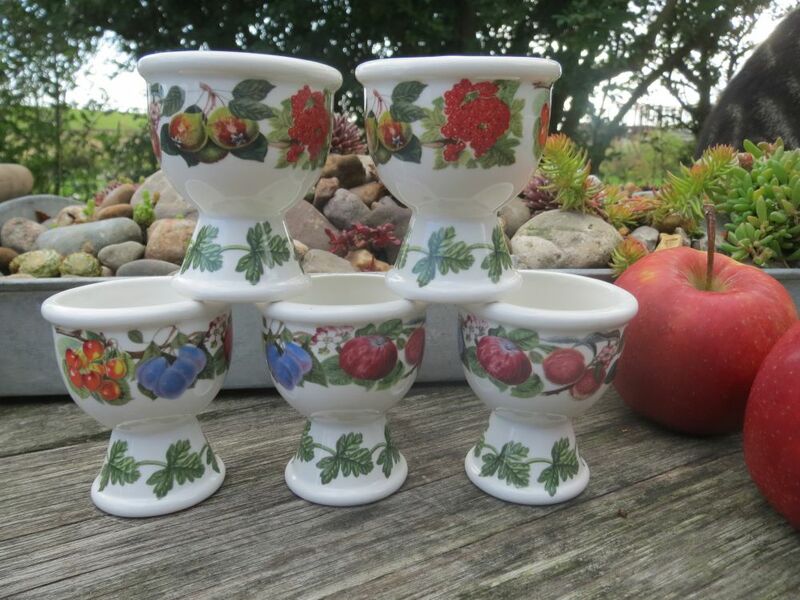 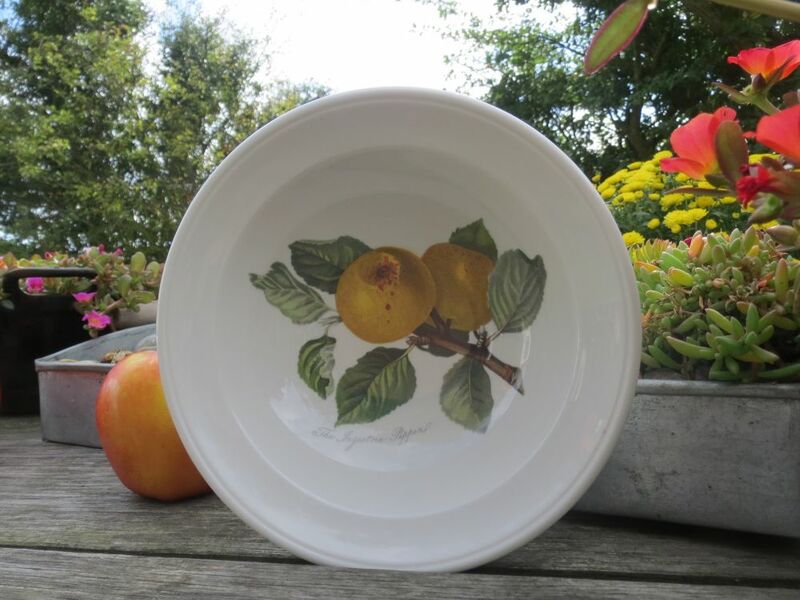 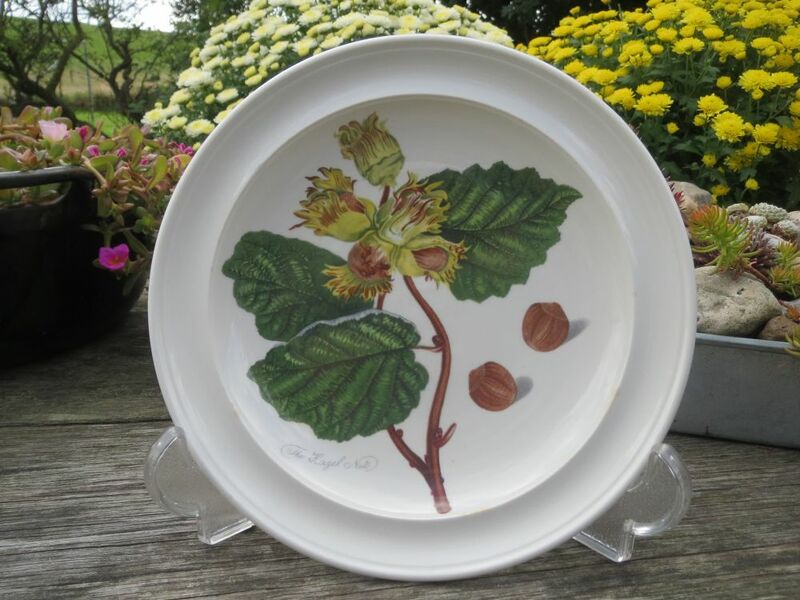 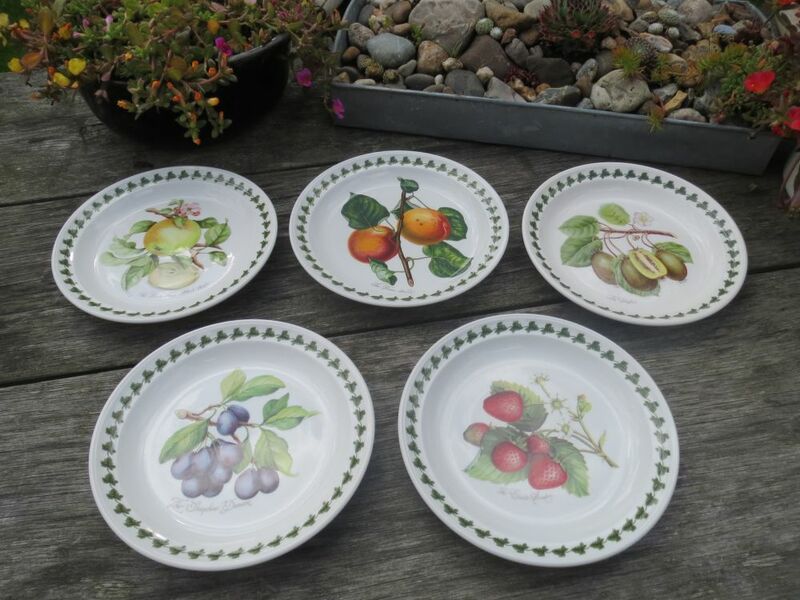 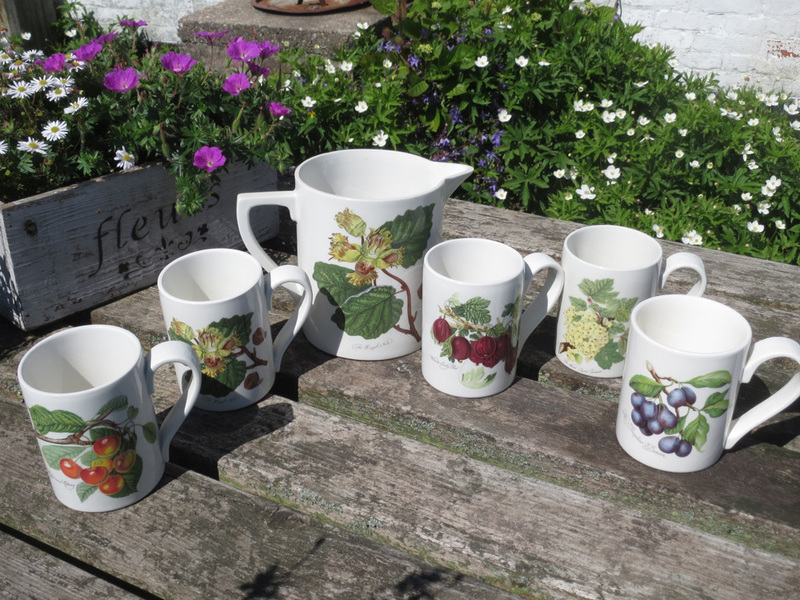 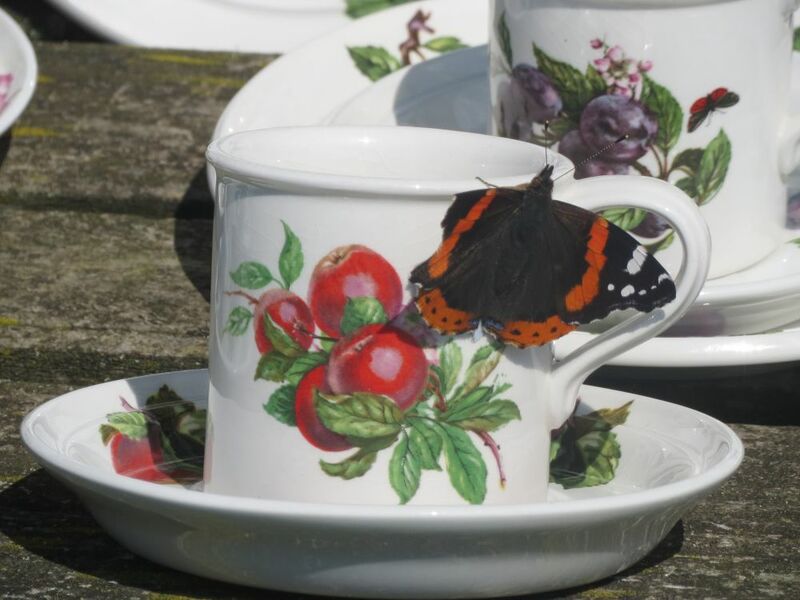 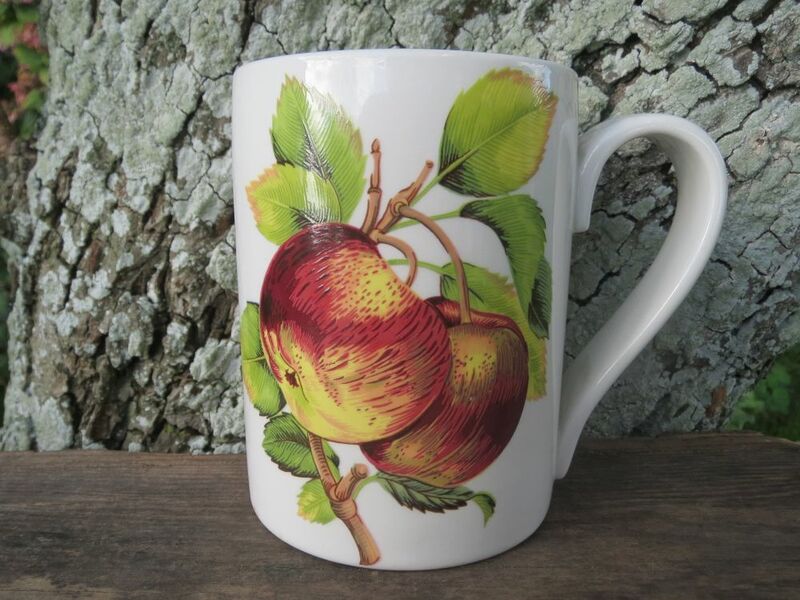 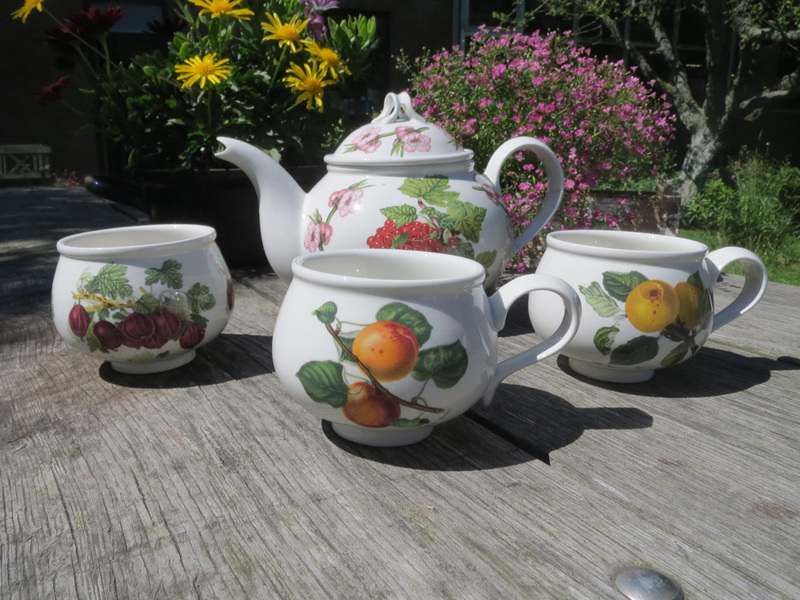 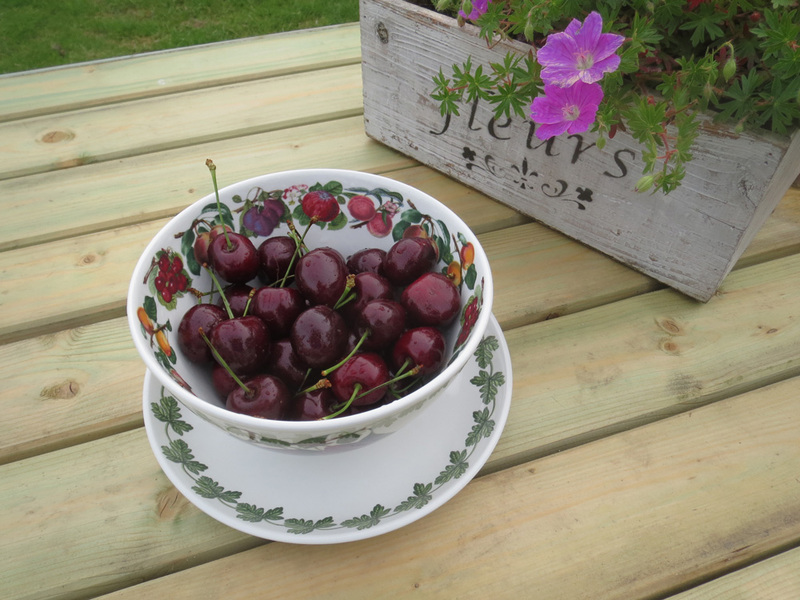 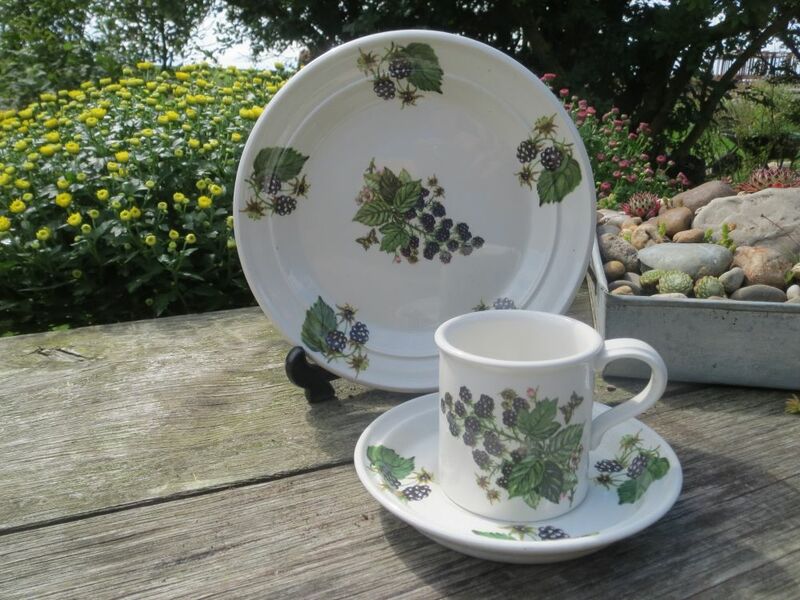 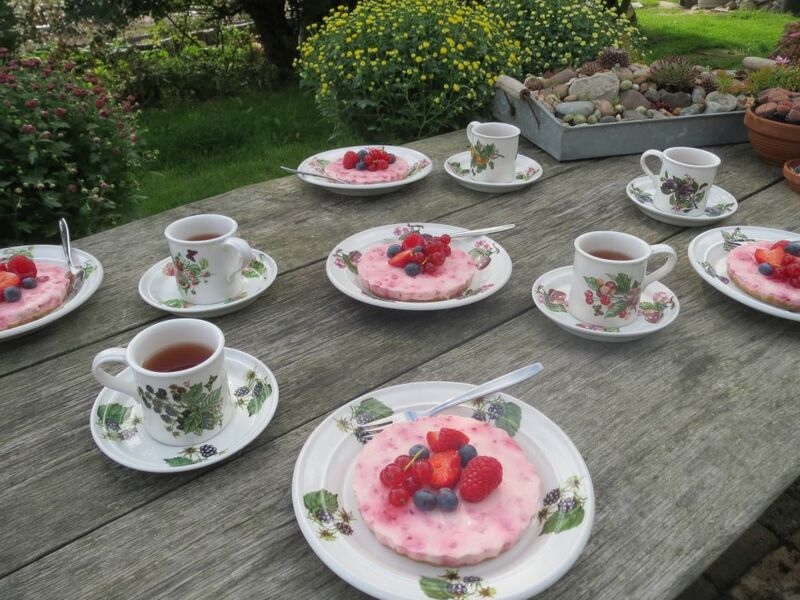 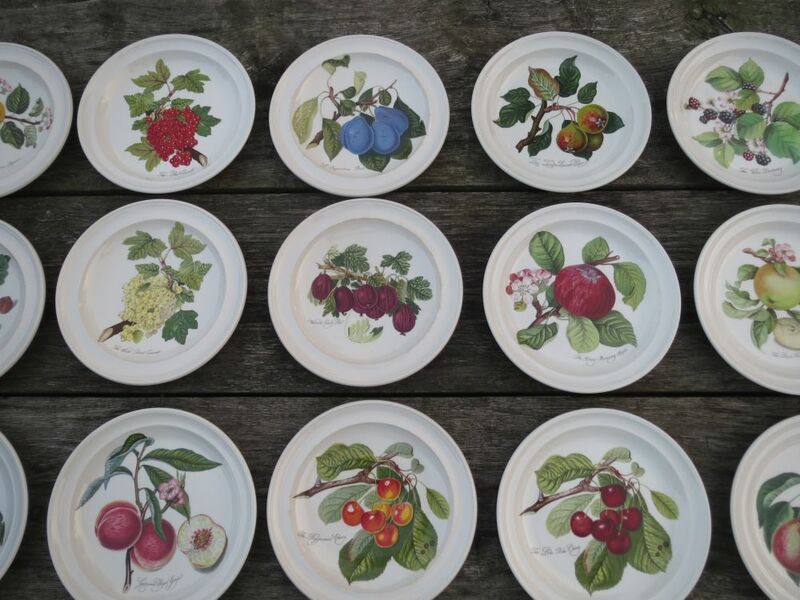 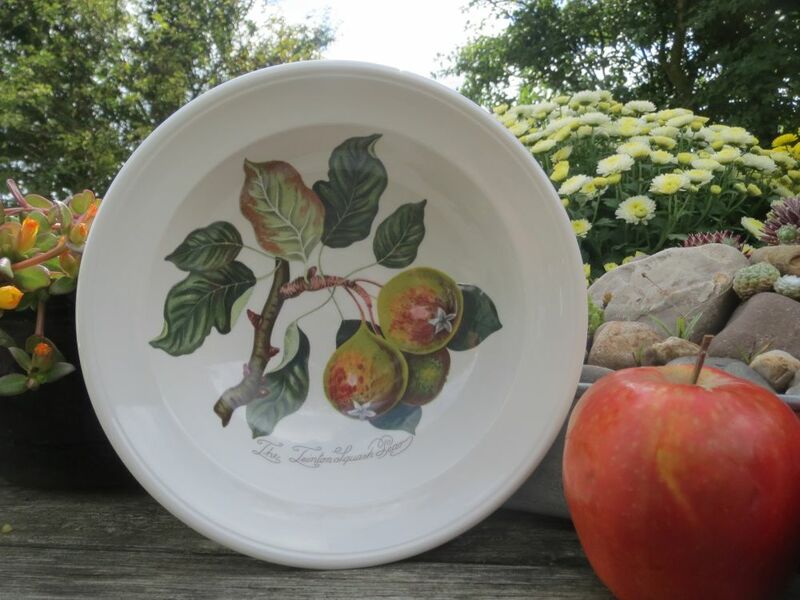 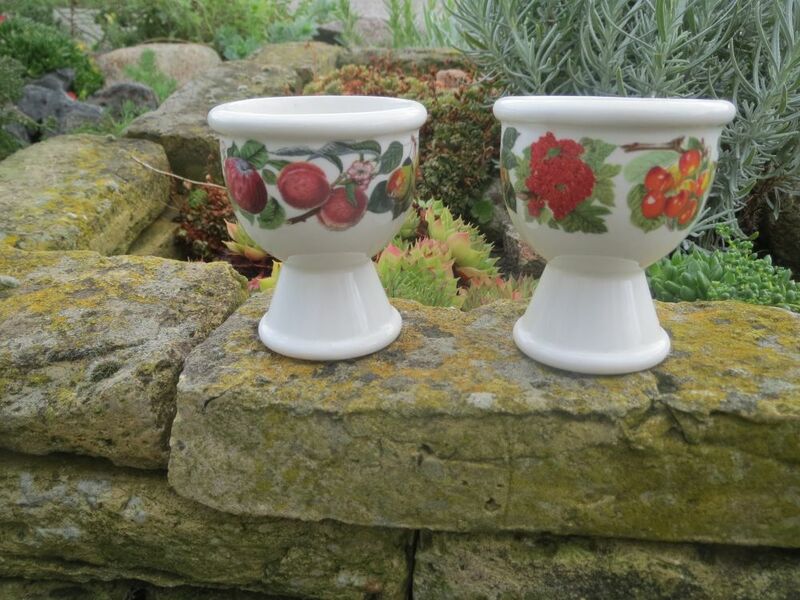 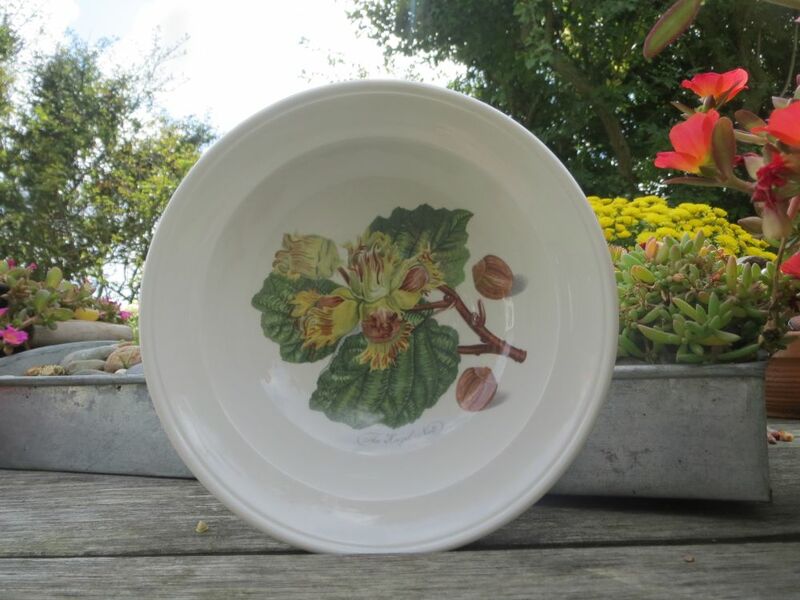 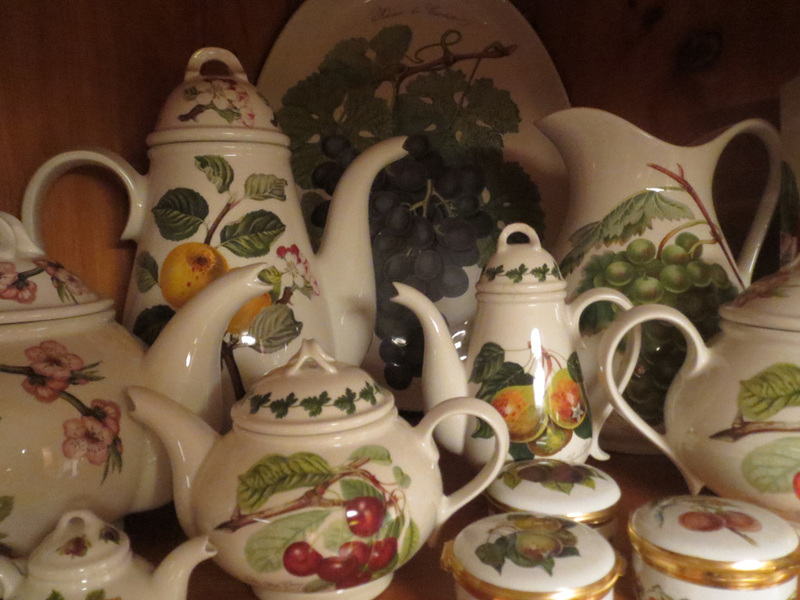 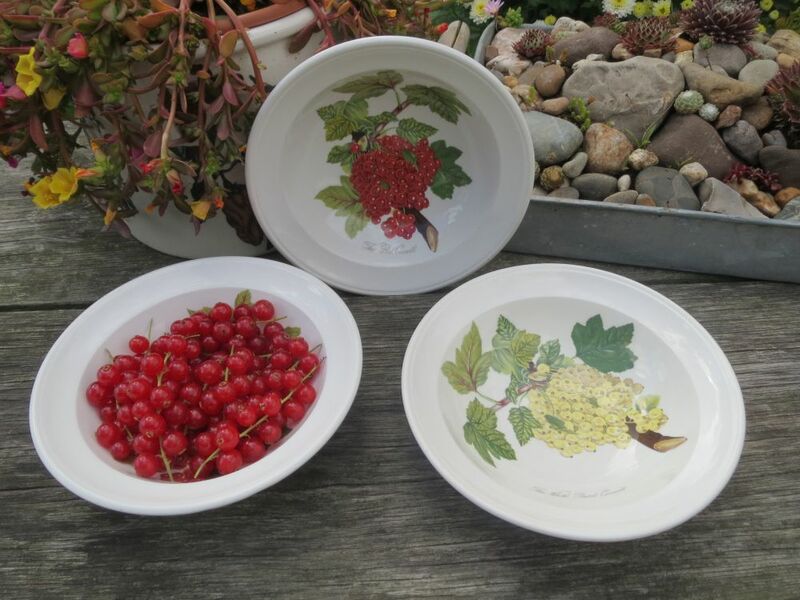 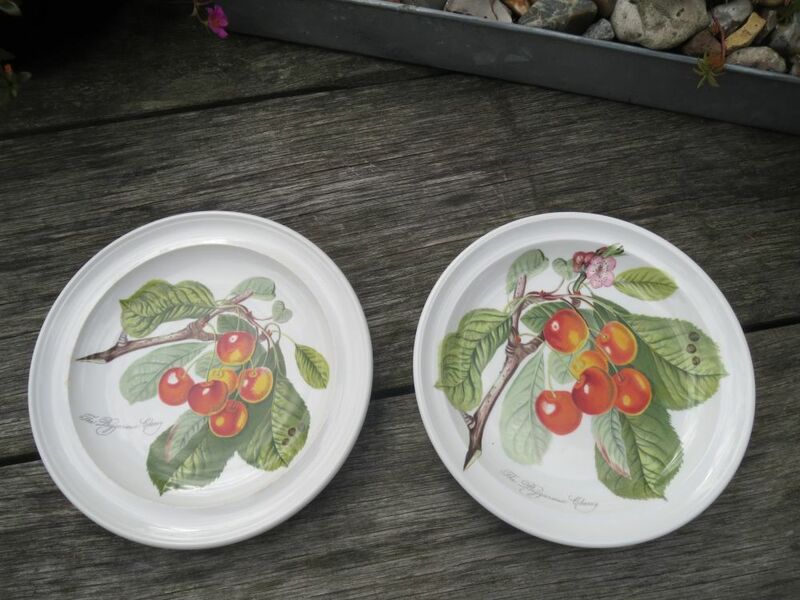 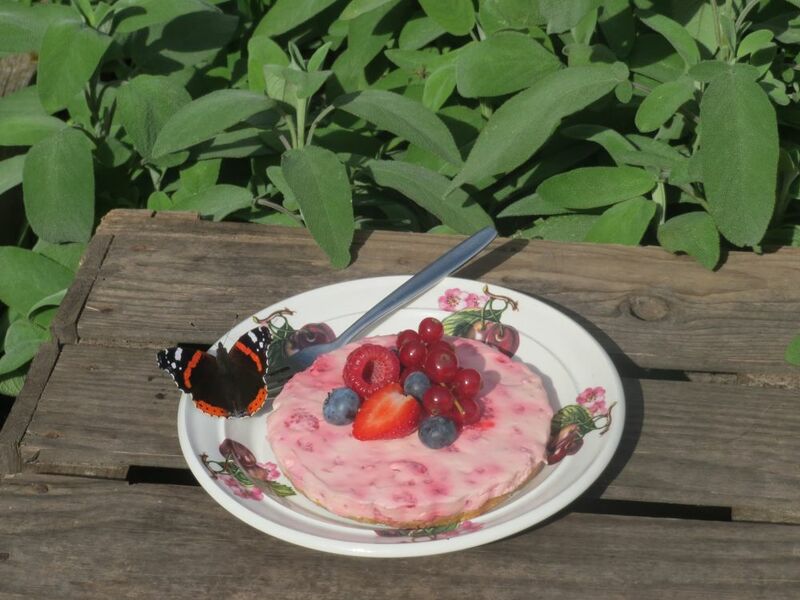 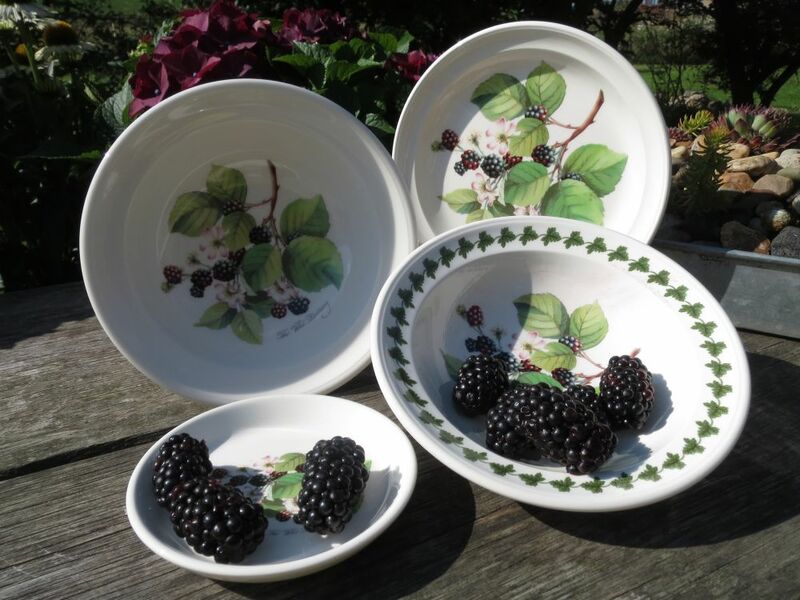 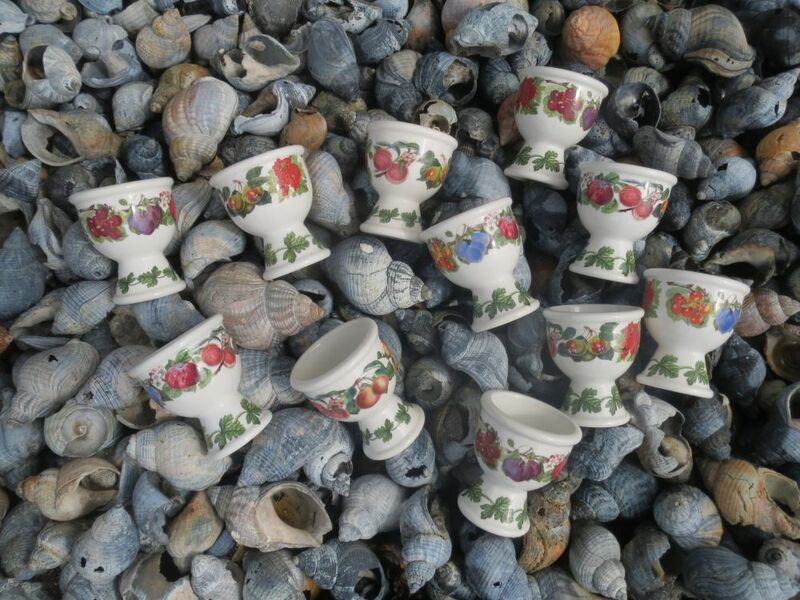 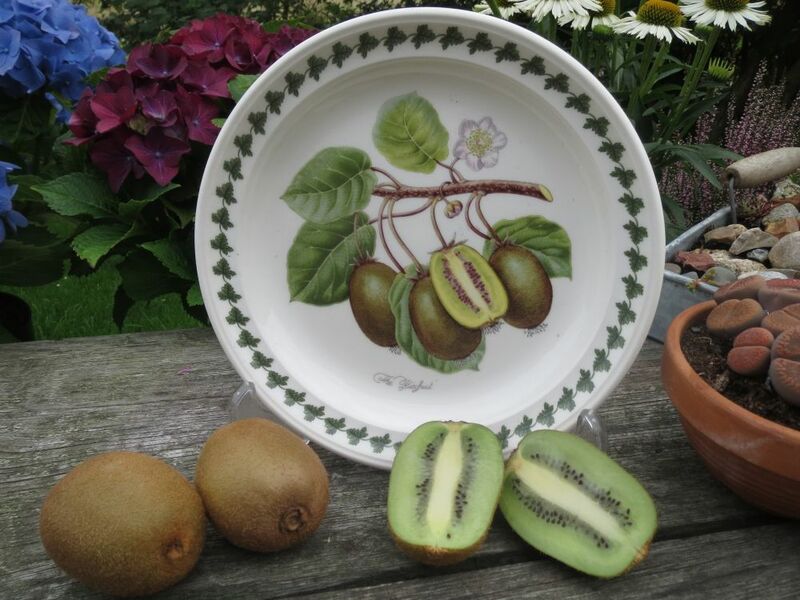 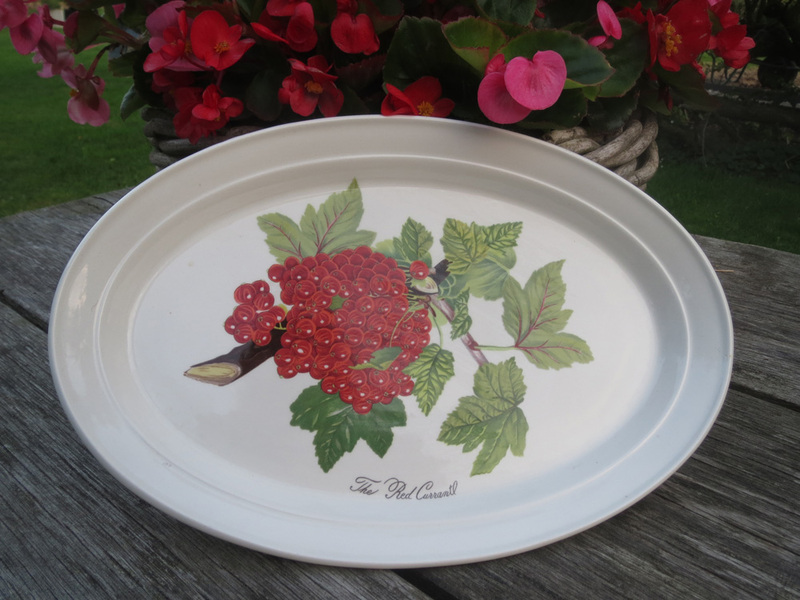 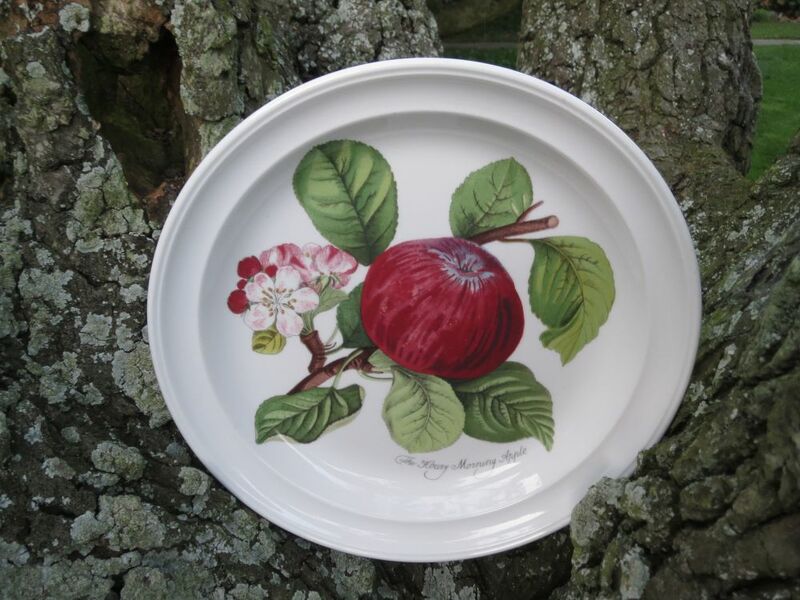 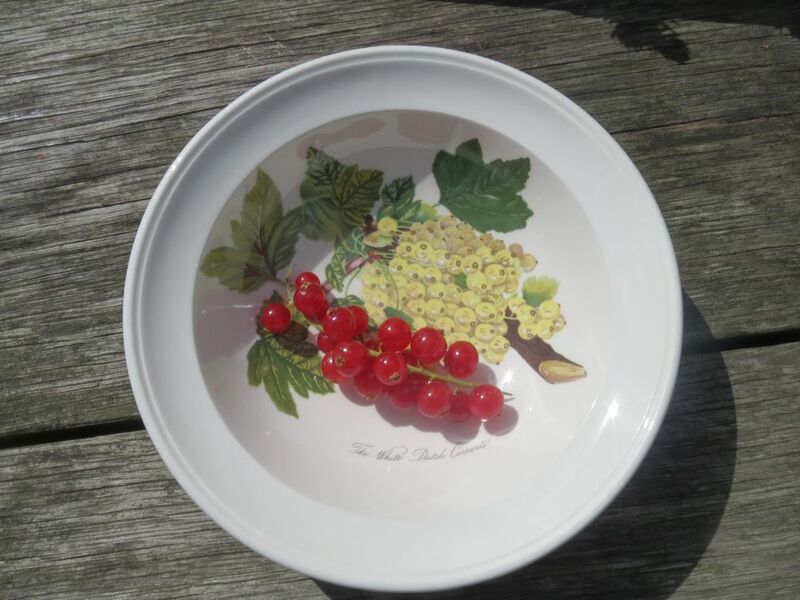 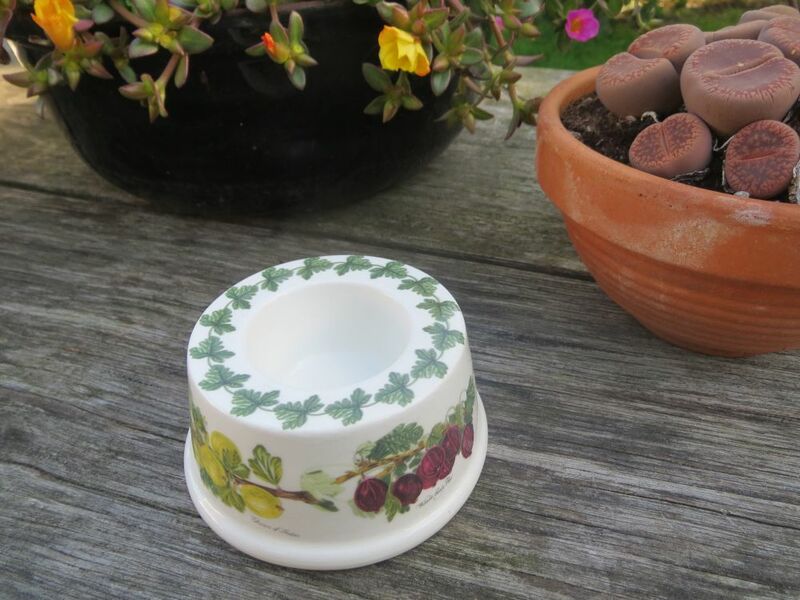 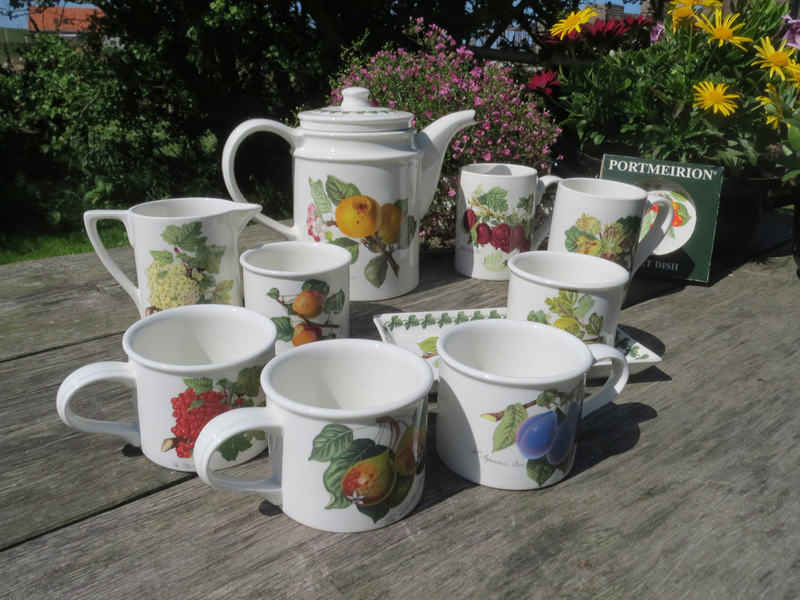 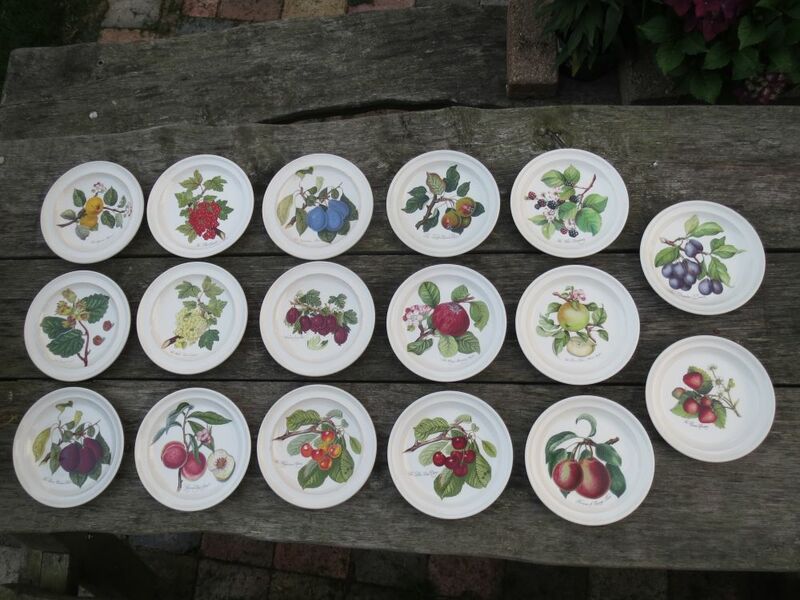 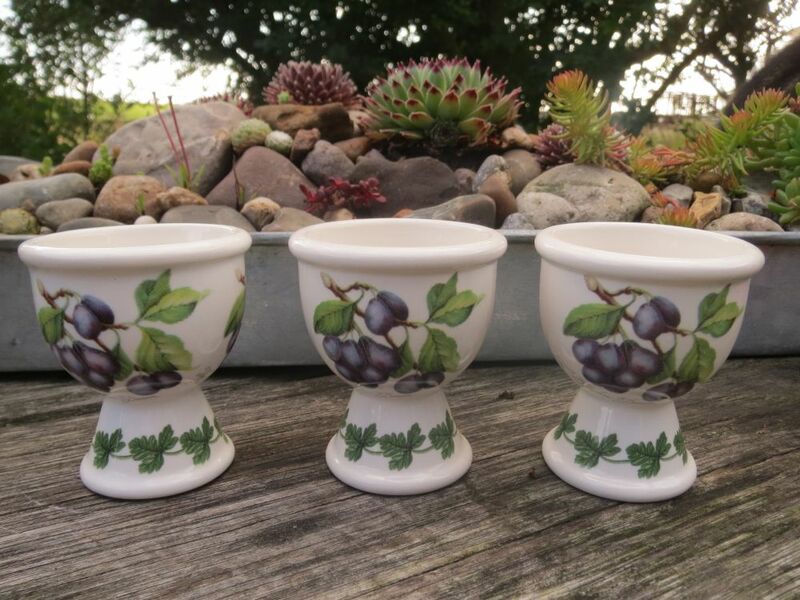 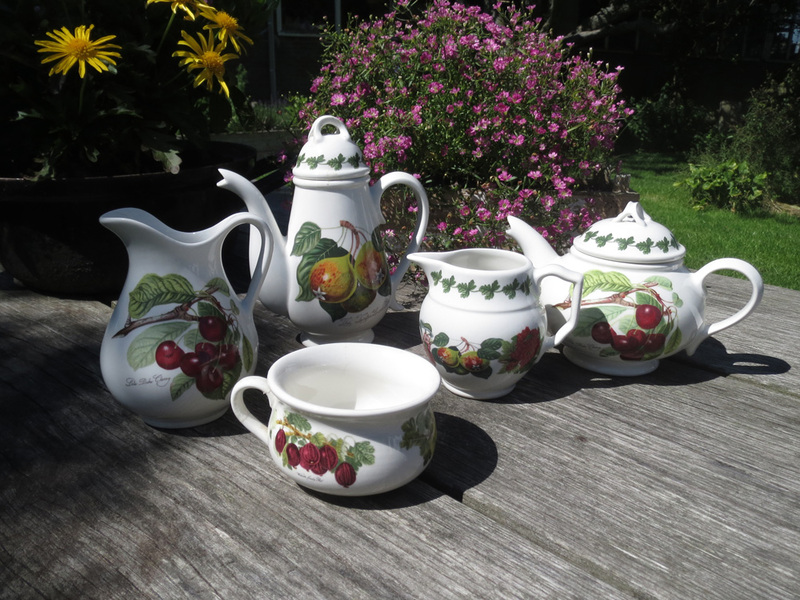 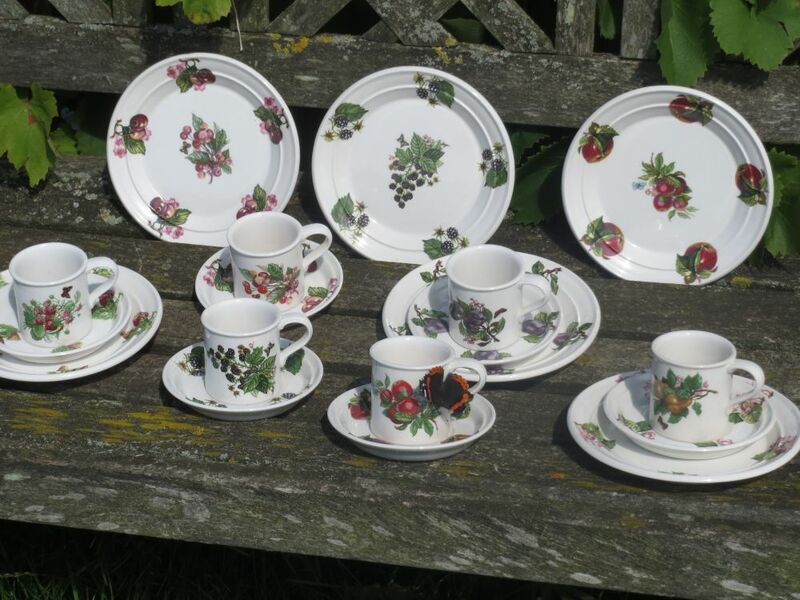 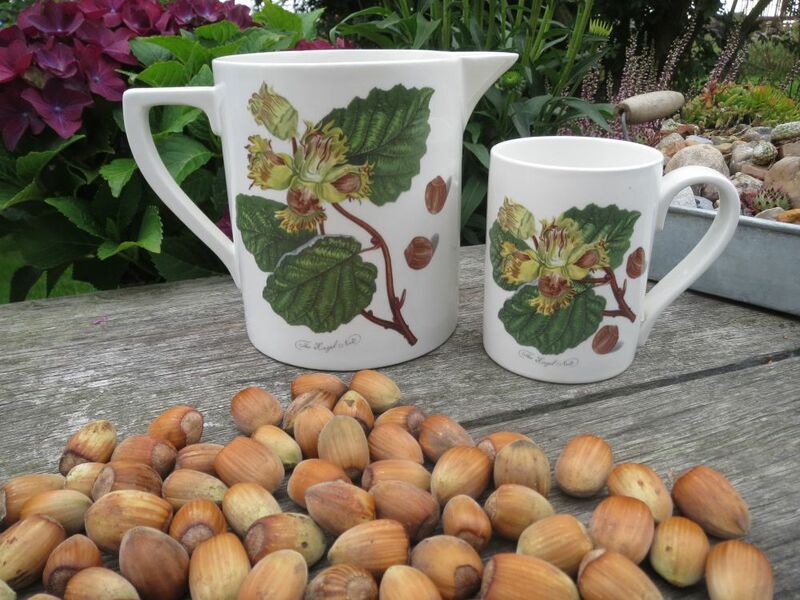 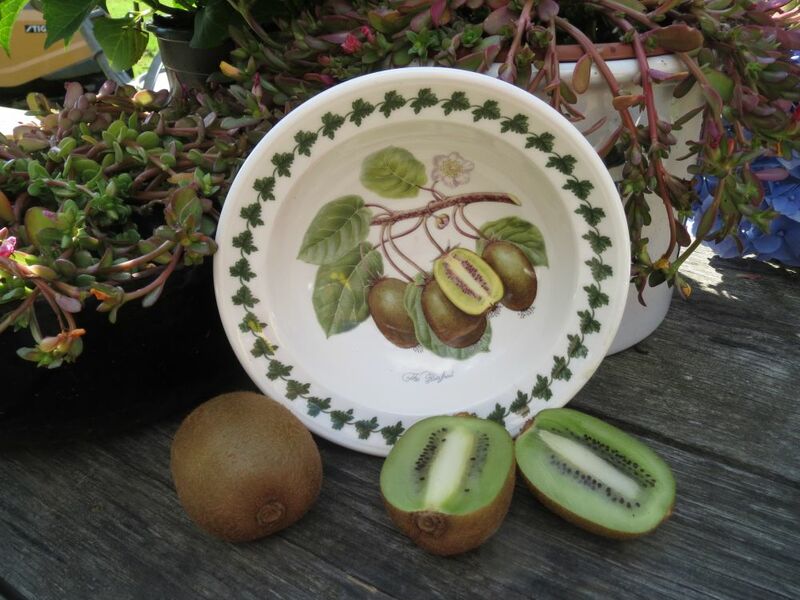 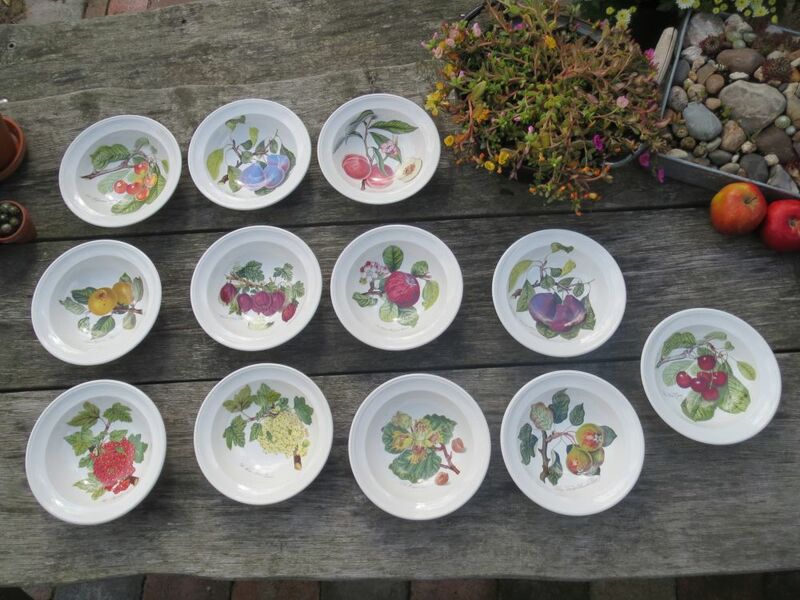 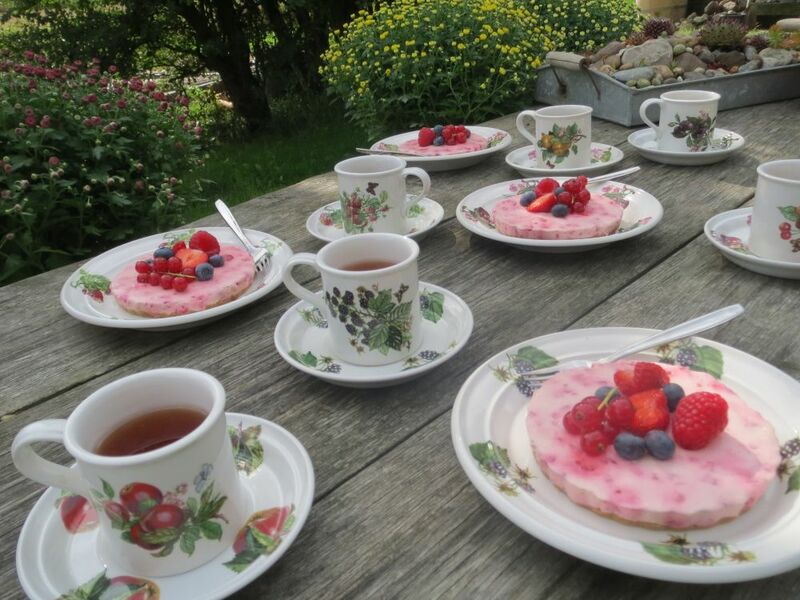 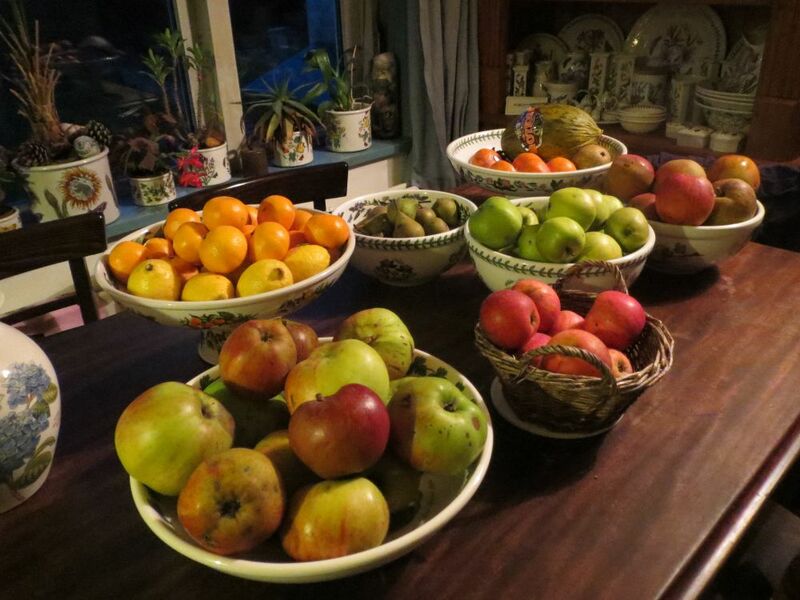 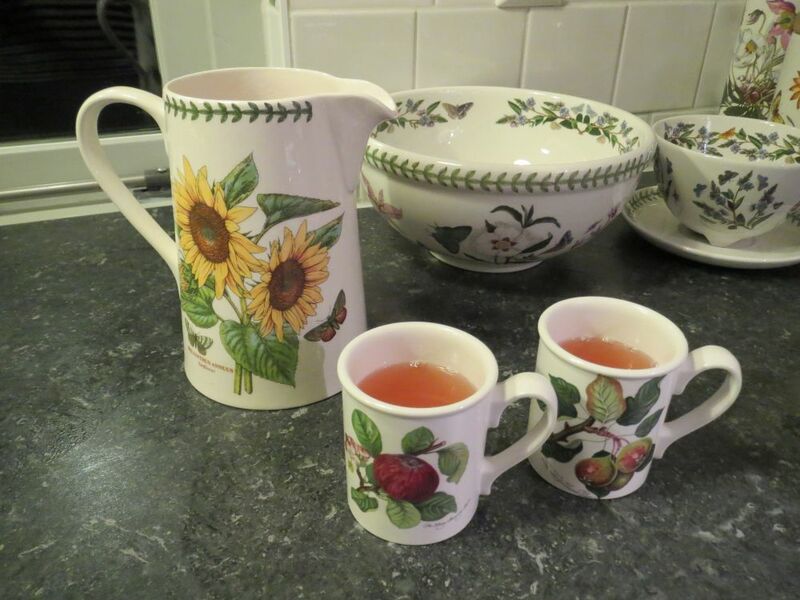 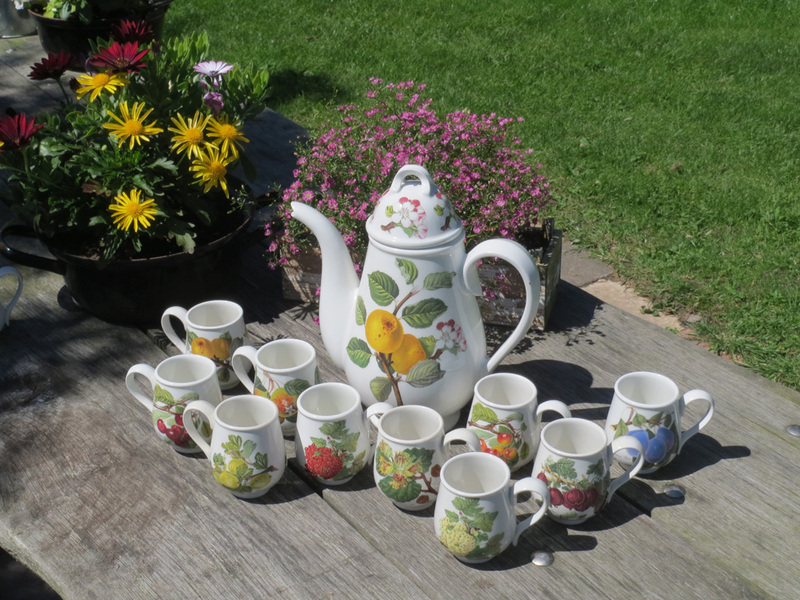 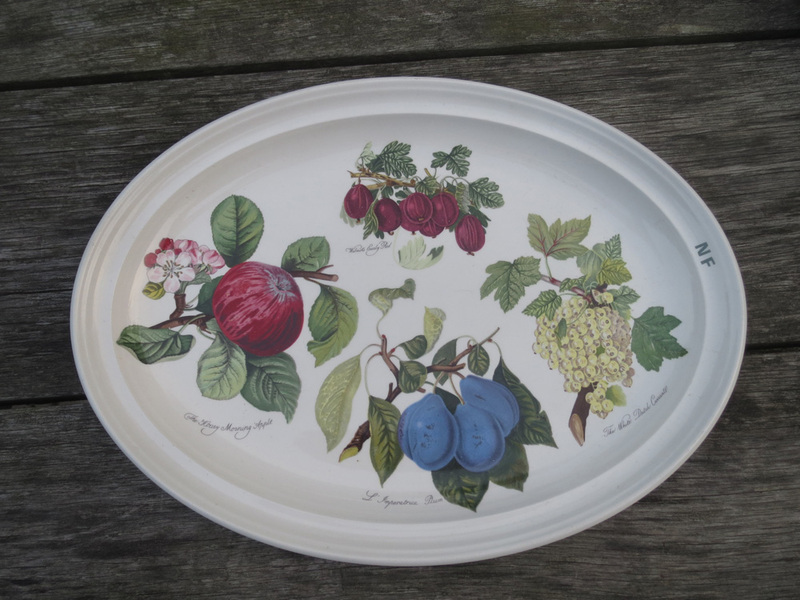 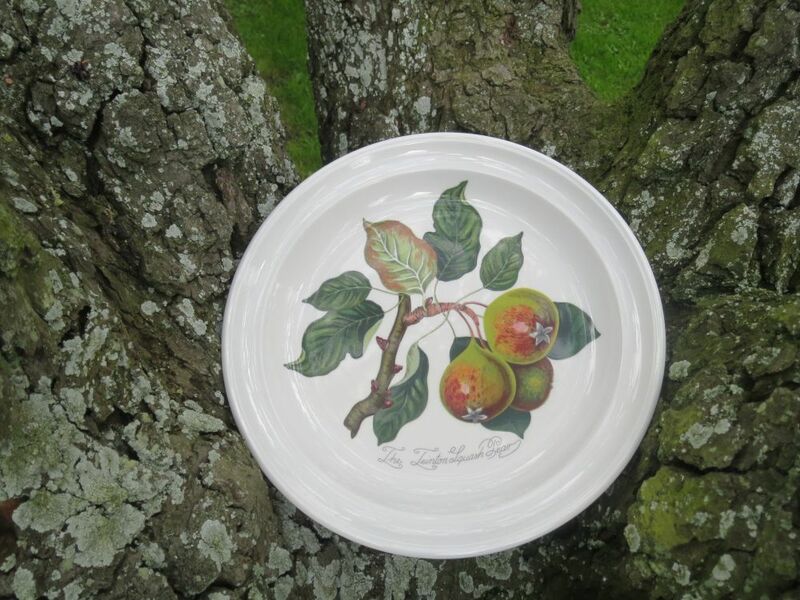 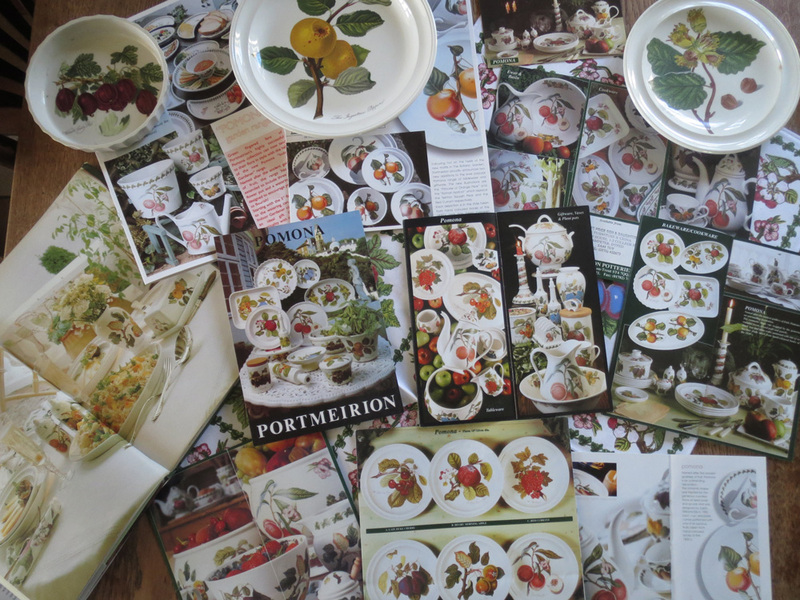 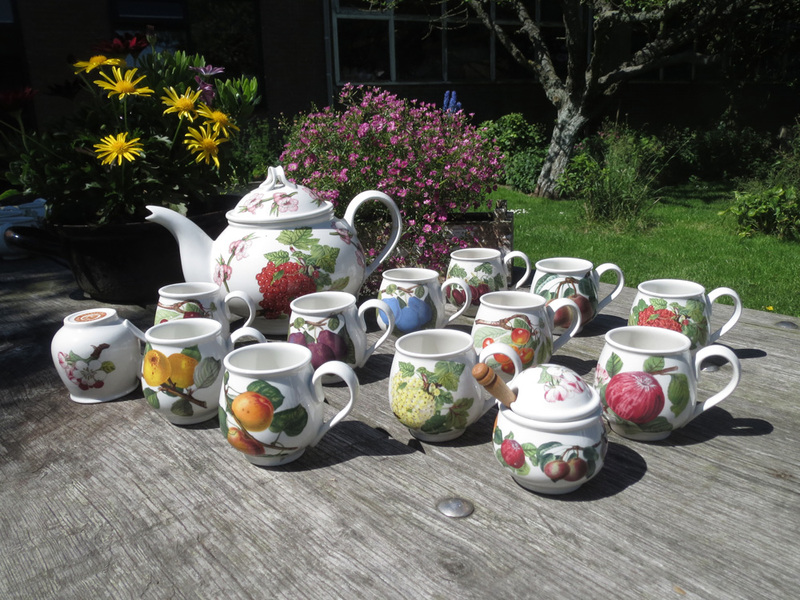 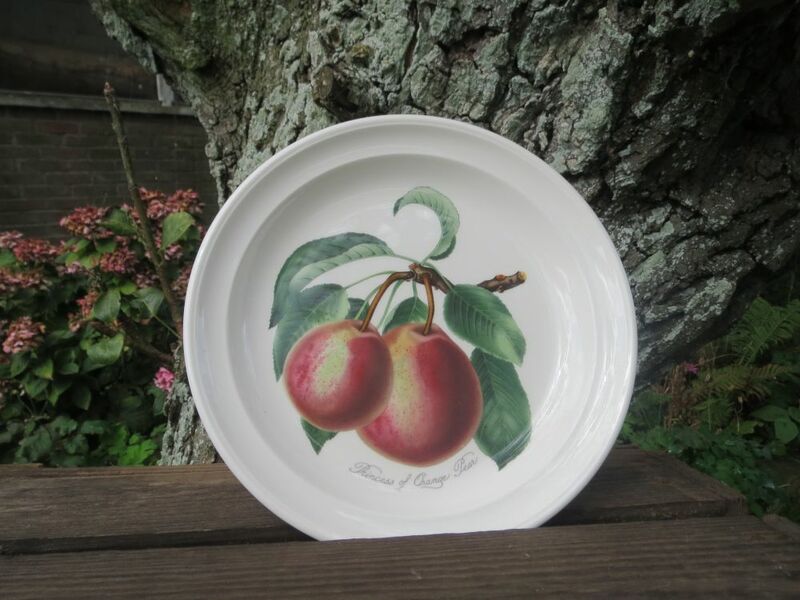 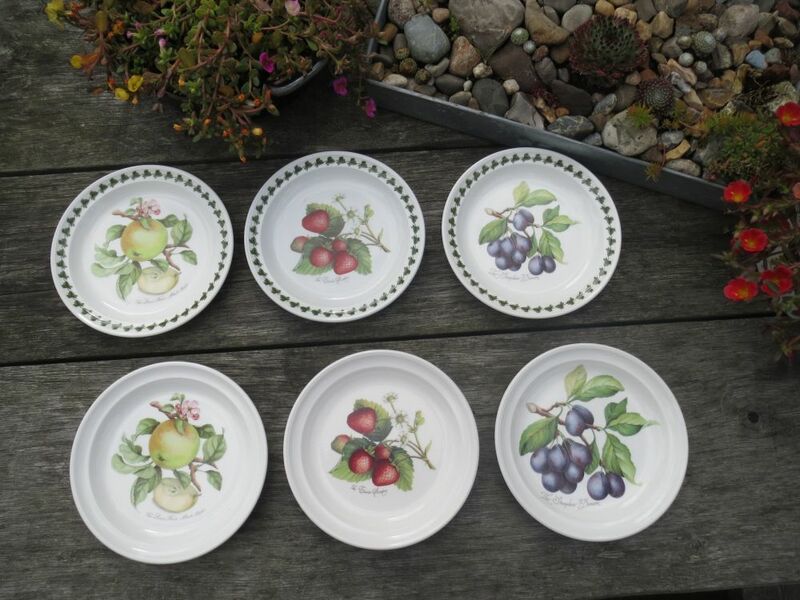 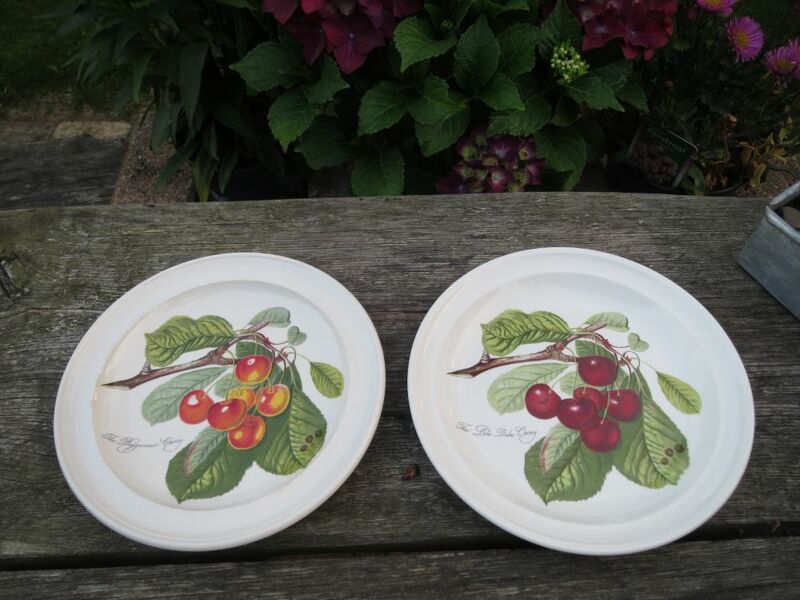 The Portmeirion Pomona range was launched in 1980, but before that Portmeirion had produced pottery with fruit motifs. 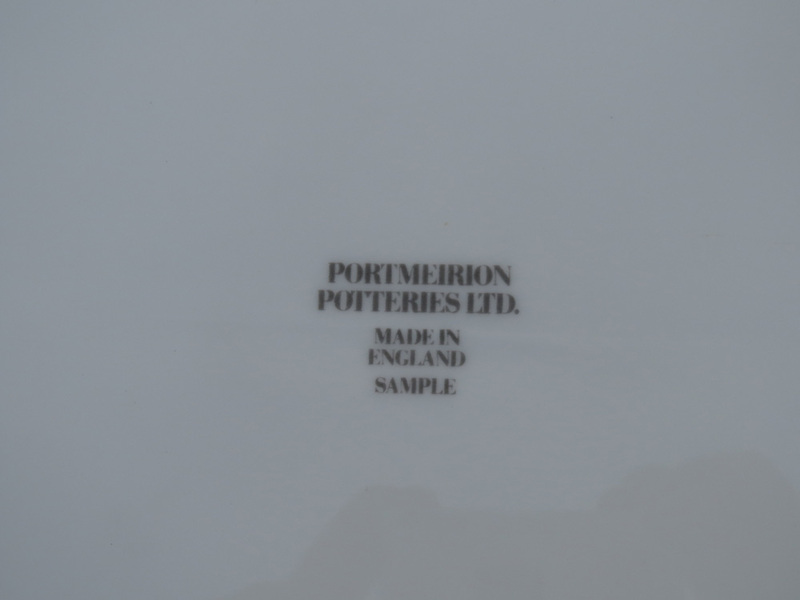 This pottery usually has a mustard coloured backstamp. 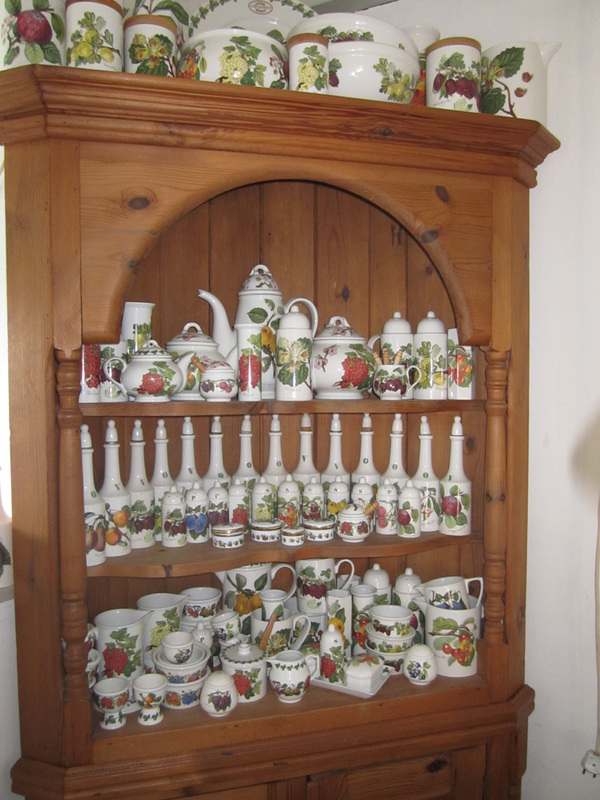 Examples of this range are the 4 inch mug and the four oatmeals. 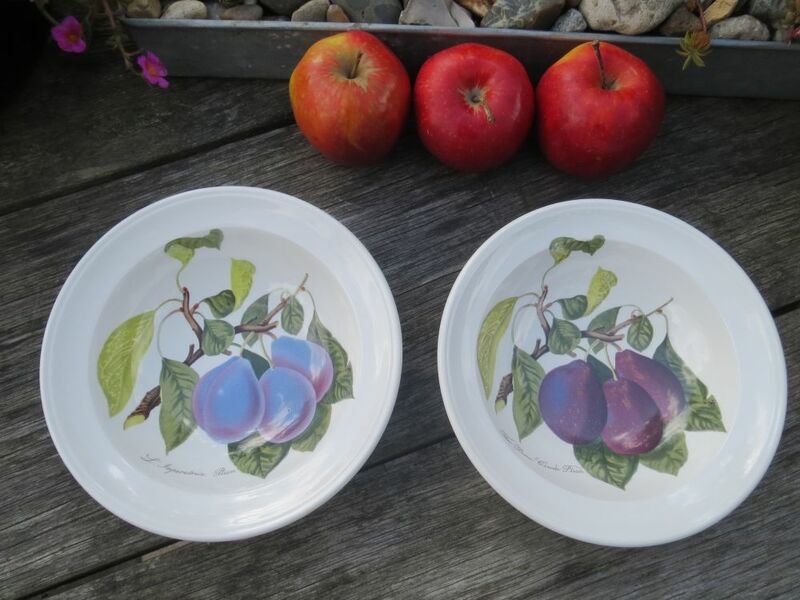 These fruit motifs can still be found, there are six different fruits. 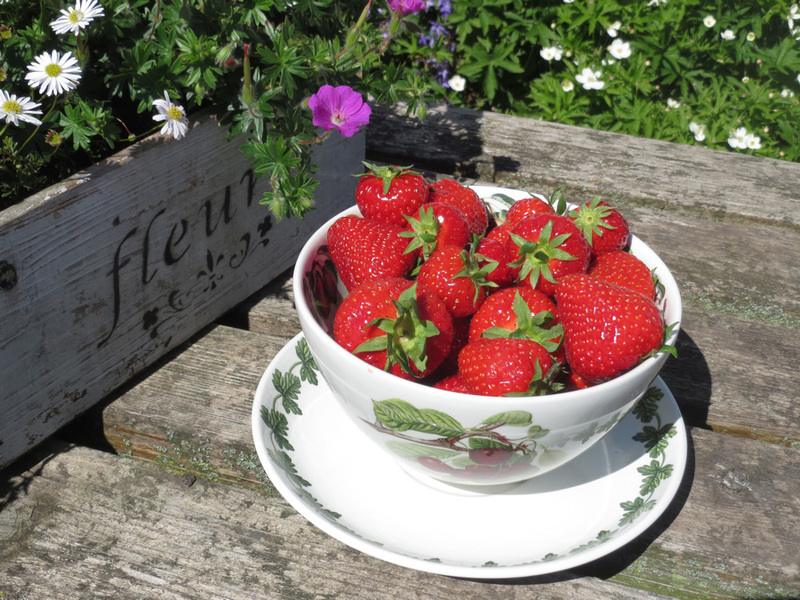 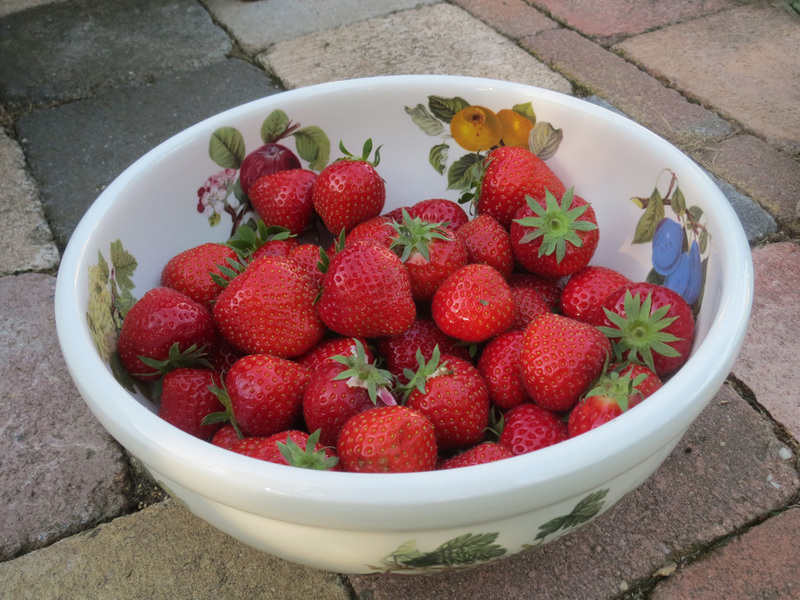 Strawberries in the Pomona fruitdrainer, simply delicious! 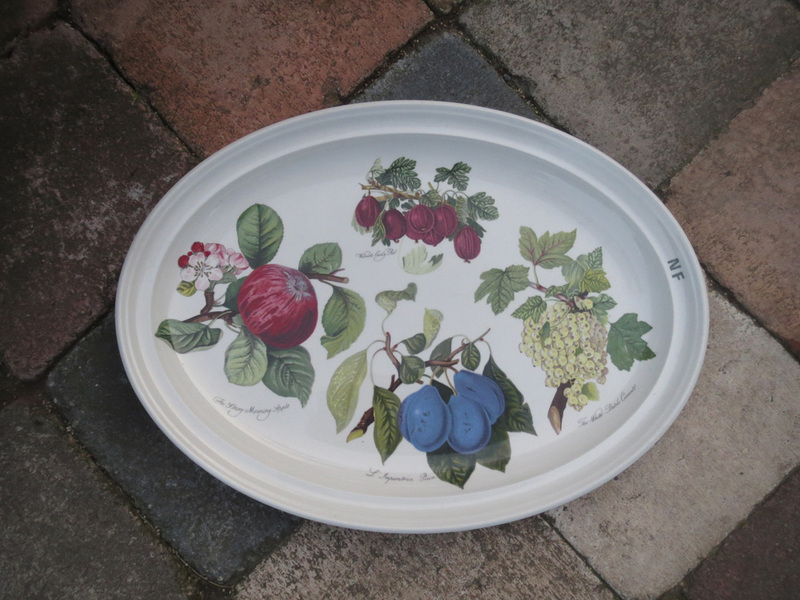 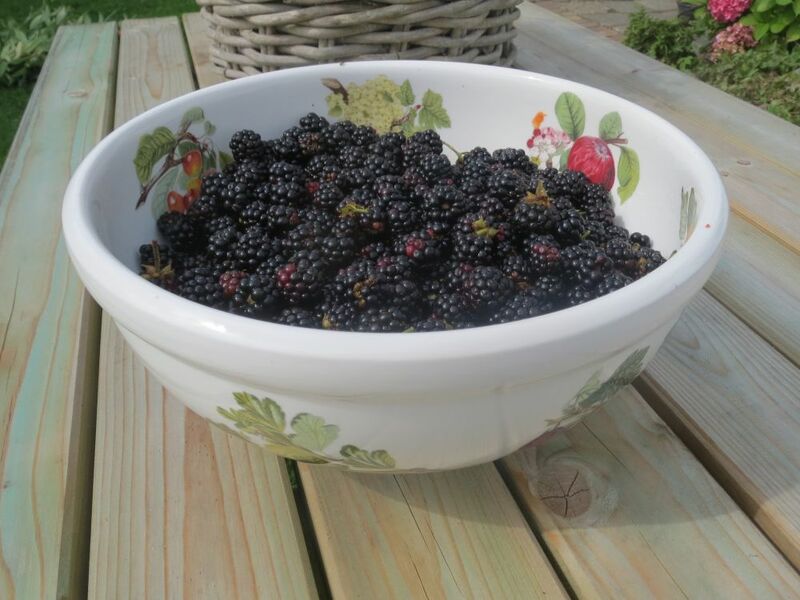 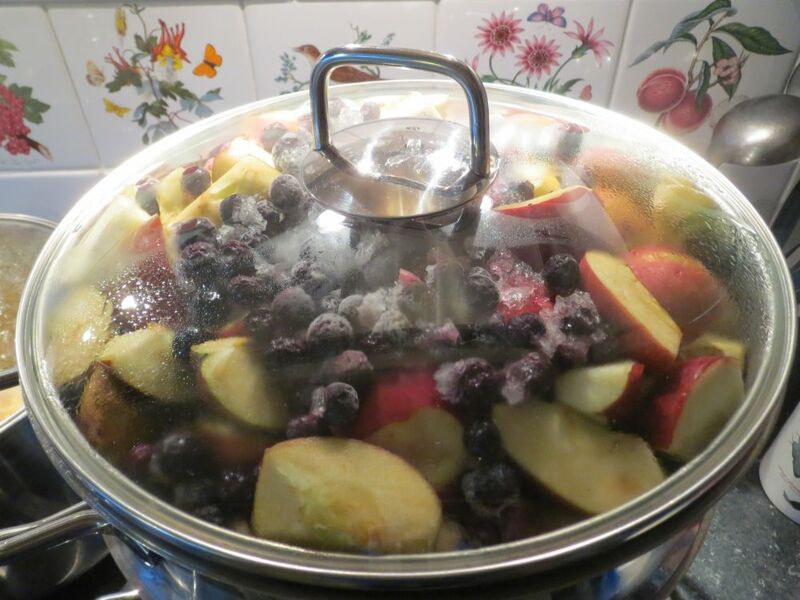 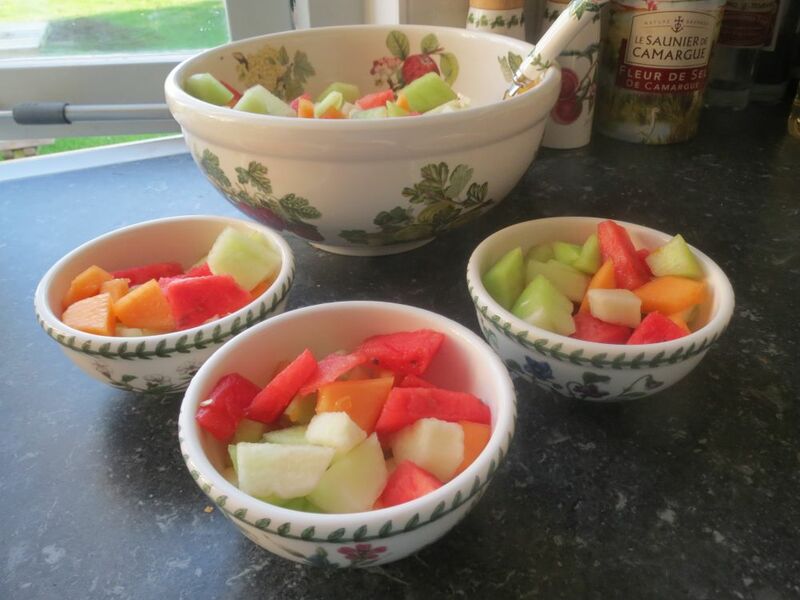 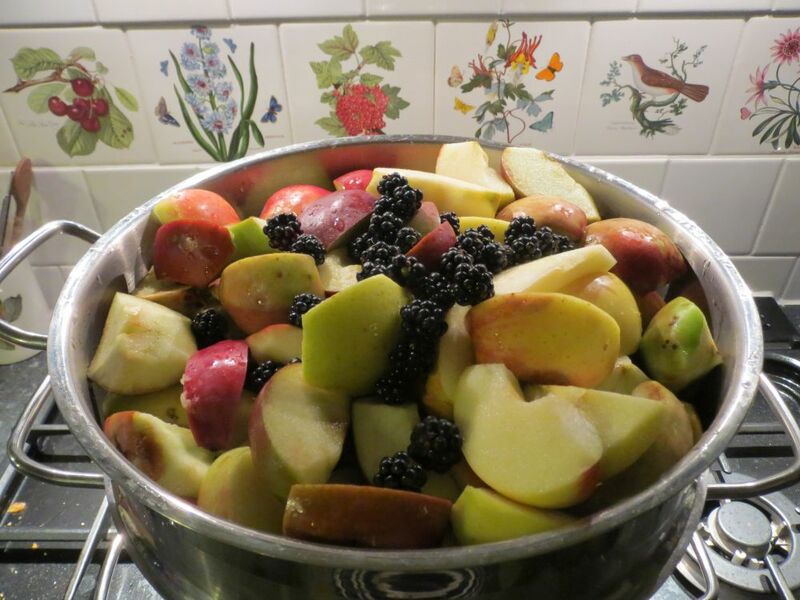 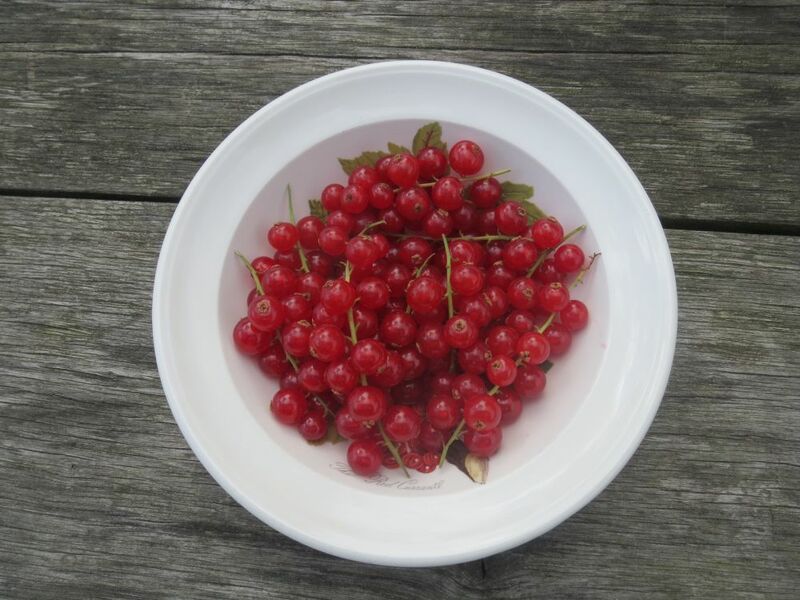 ……or in any other lovely Pomona bowl for that matter….. 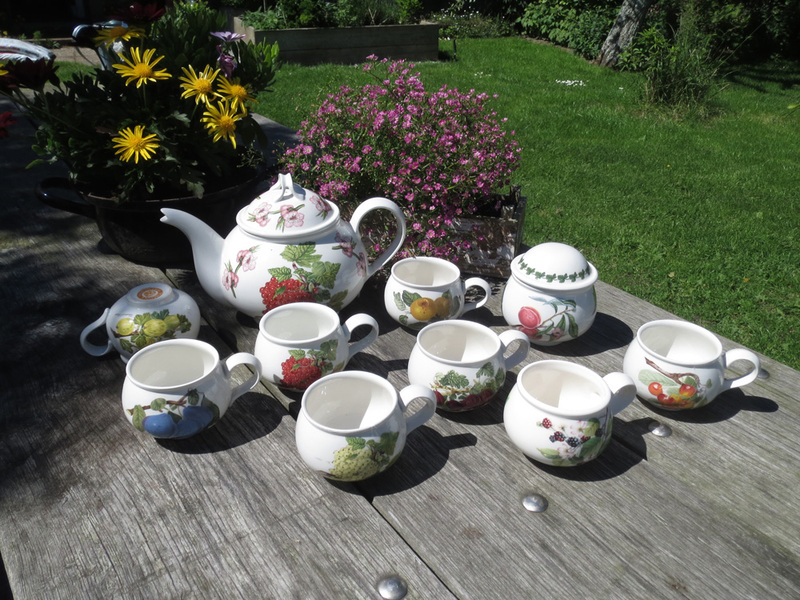 There are many different tea and coffee pots in the Pomona range. 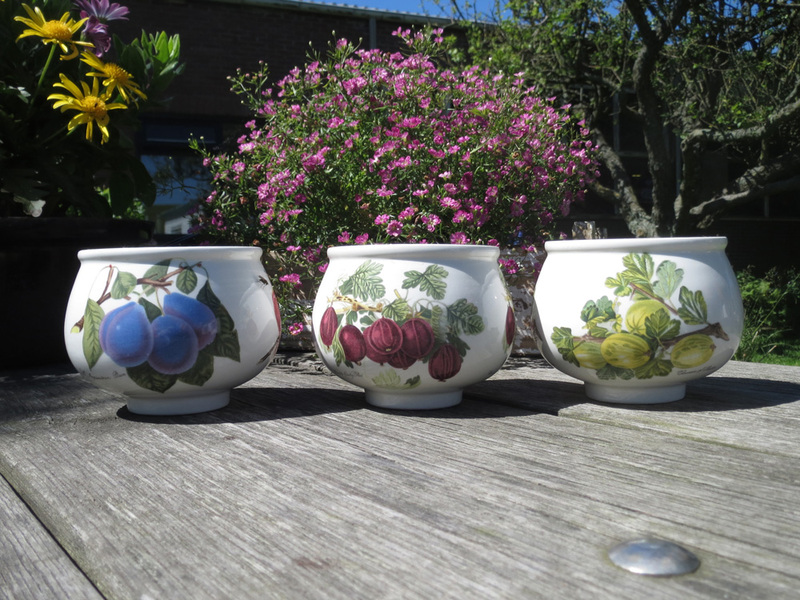 Most Pomona is in the round, romantic shape, but there are drumshapes as well.